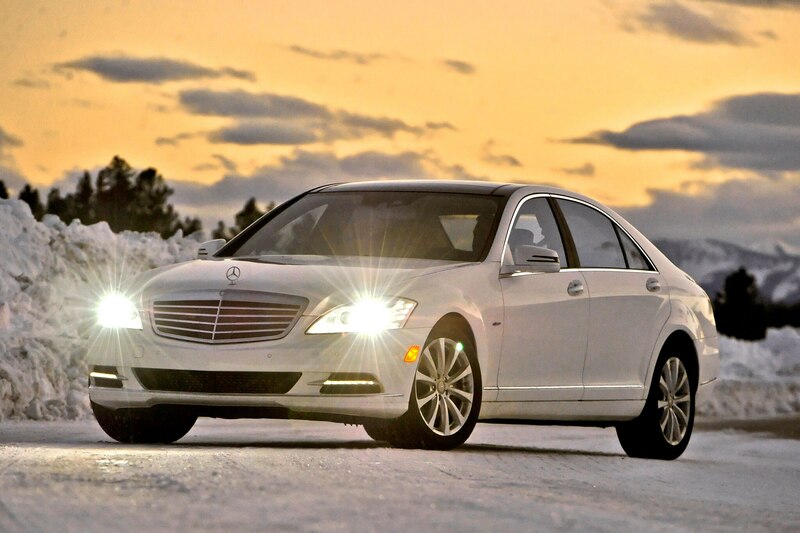 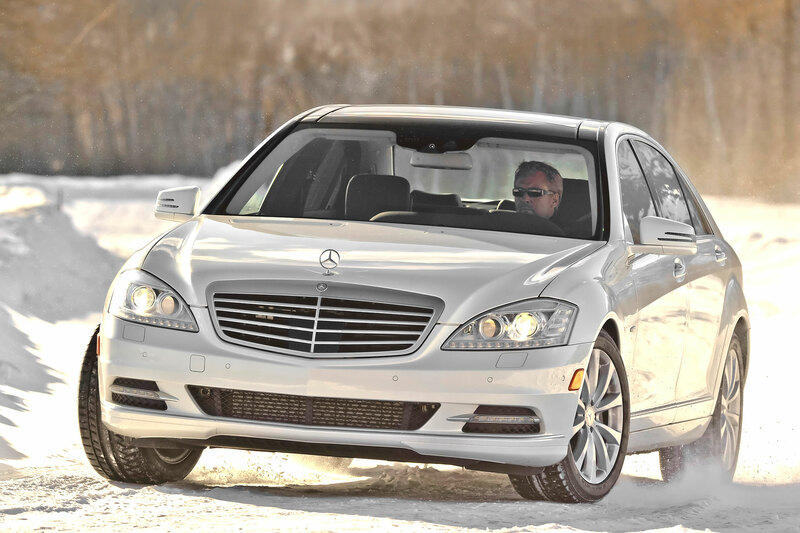 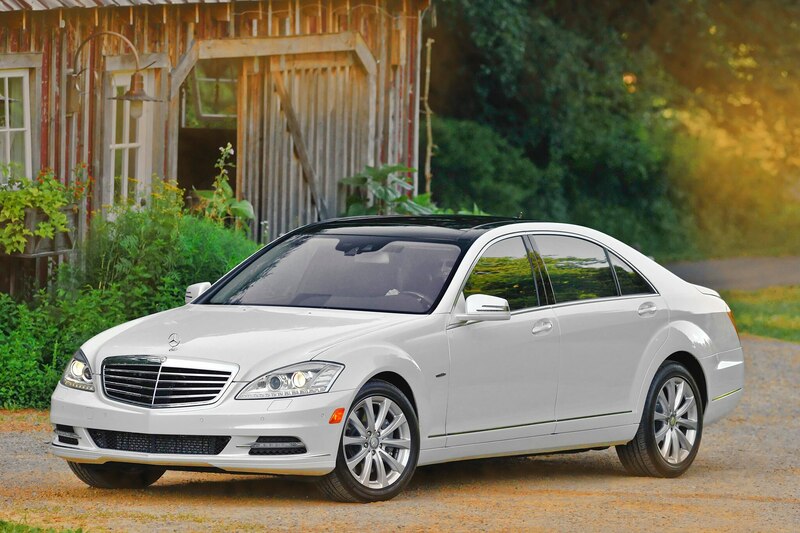 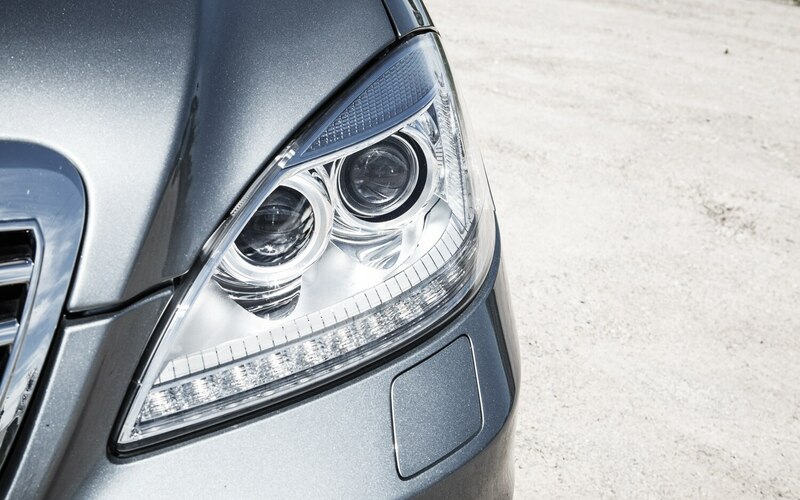 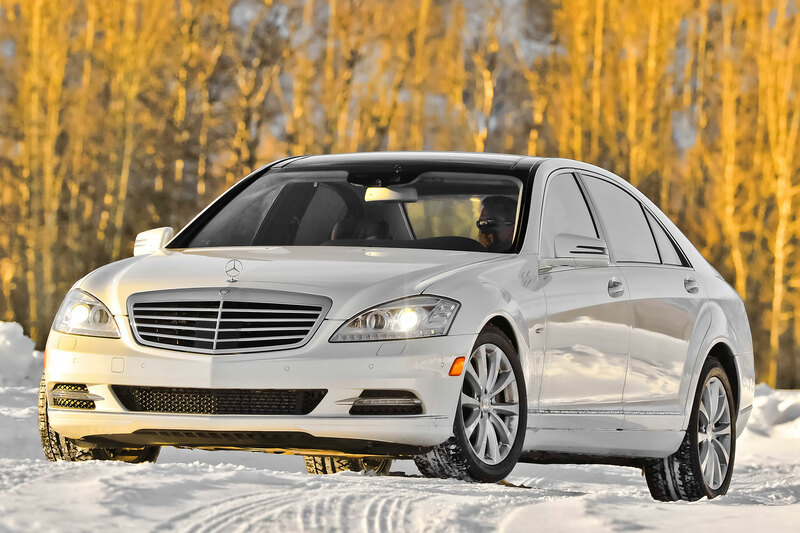 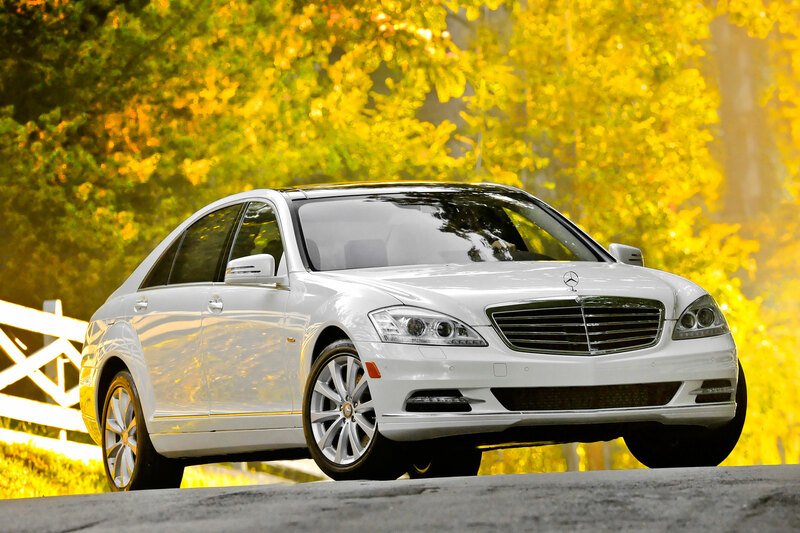 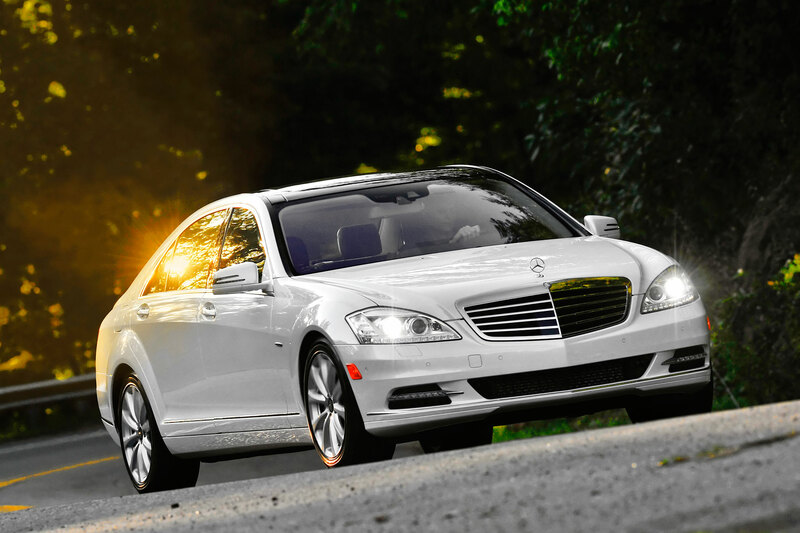 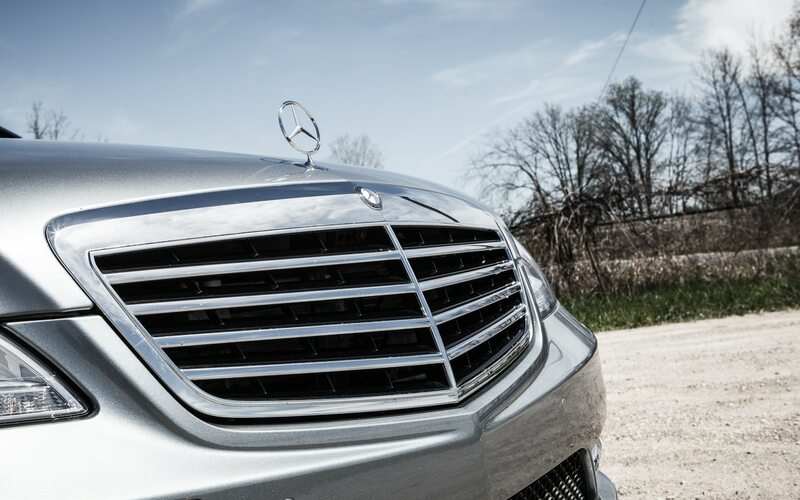 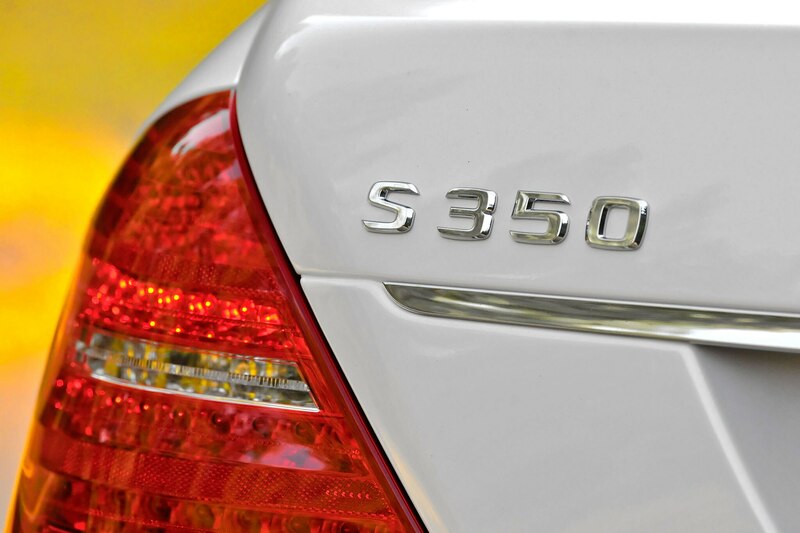 There is one irrefutable truth about the Mercedes-Benz S-Class: this car is old. 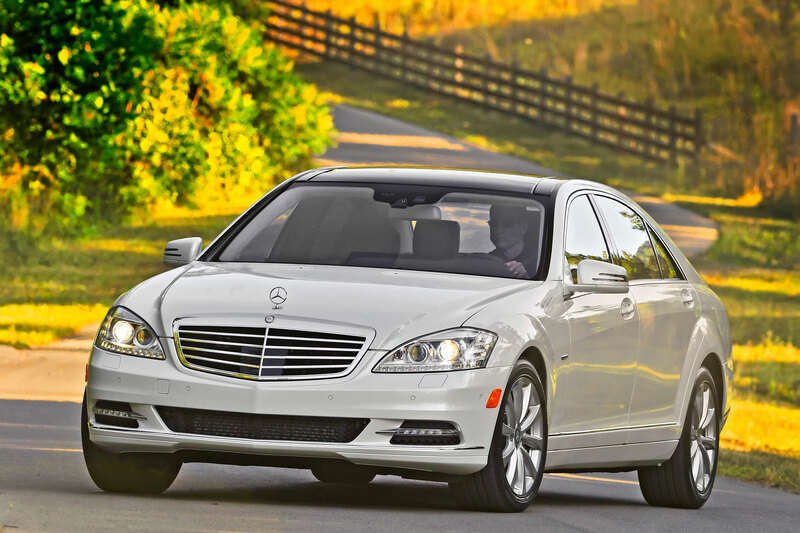 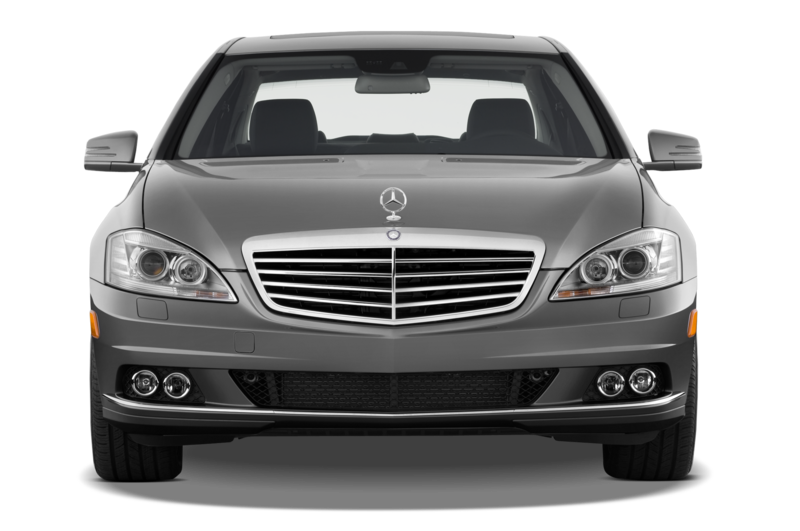 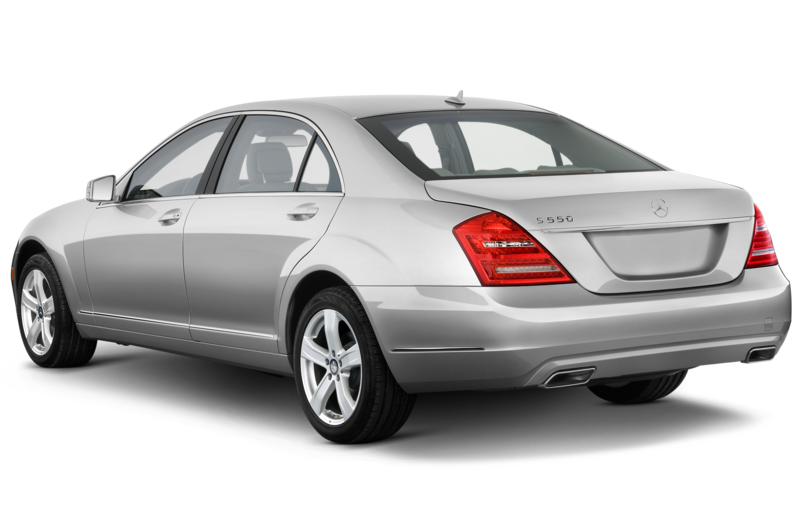 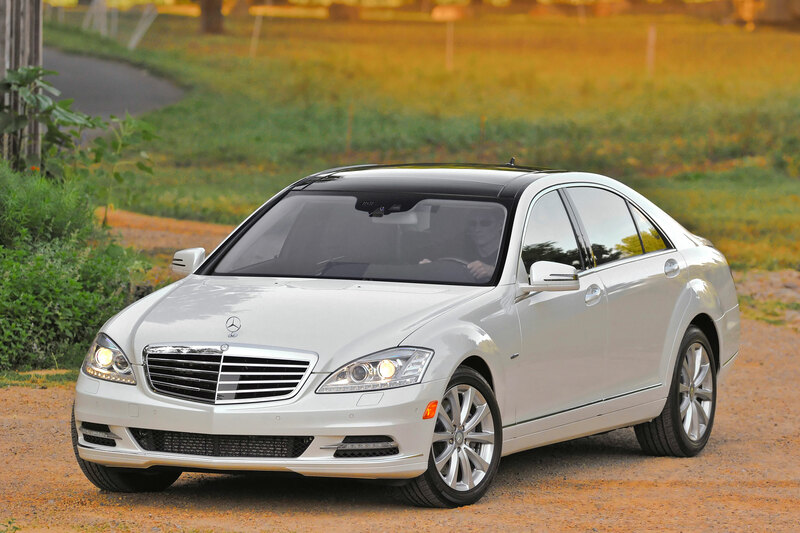 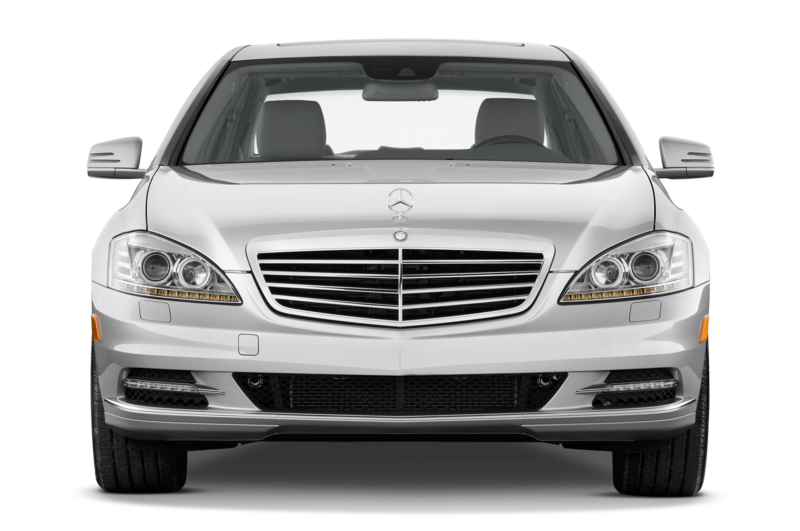 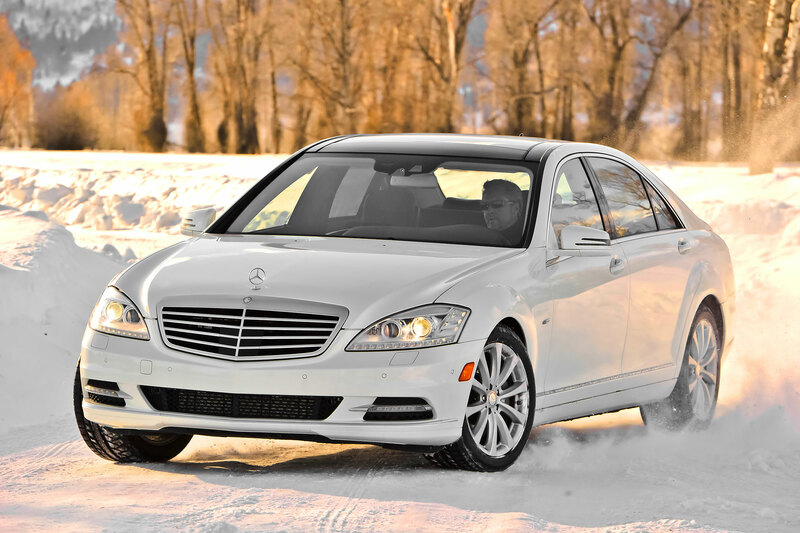 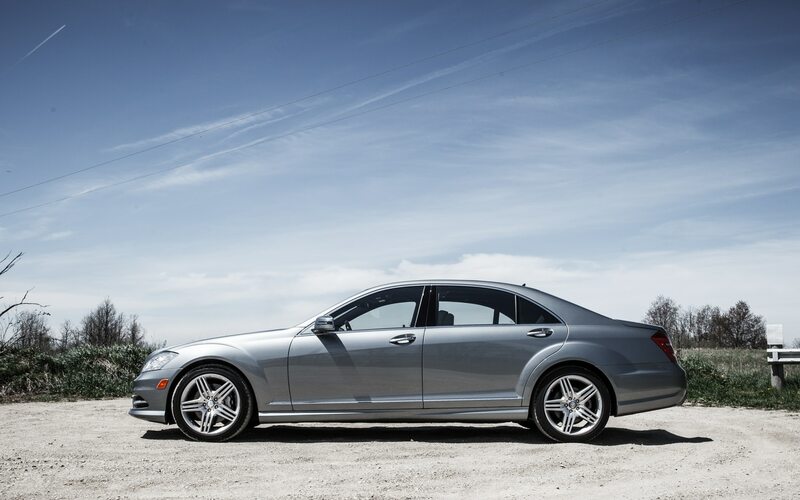 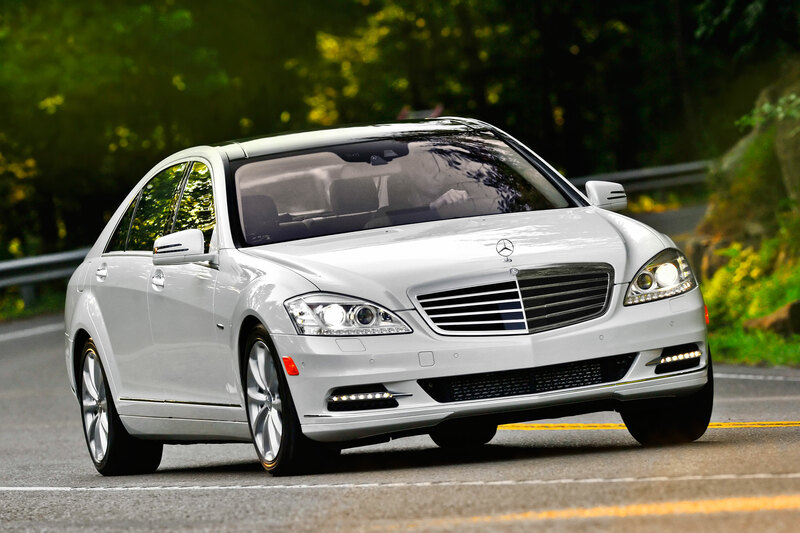 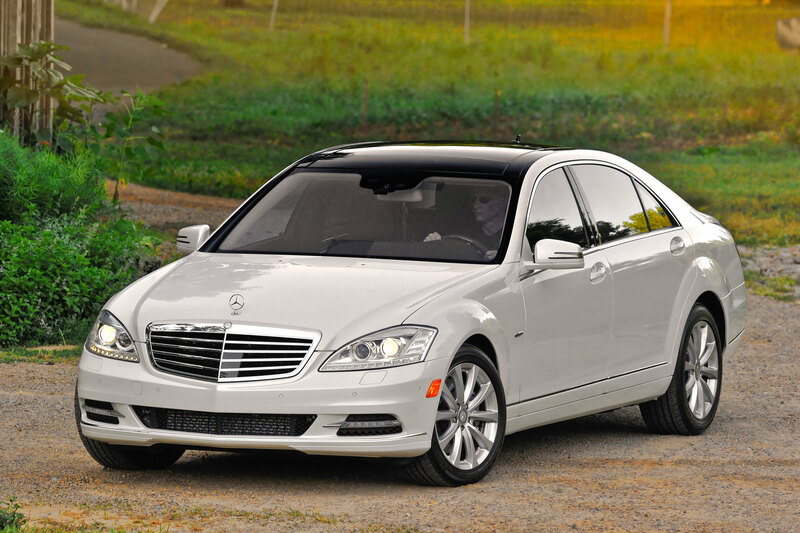 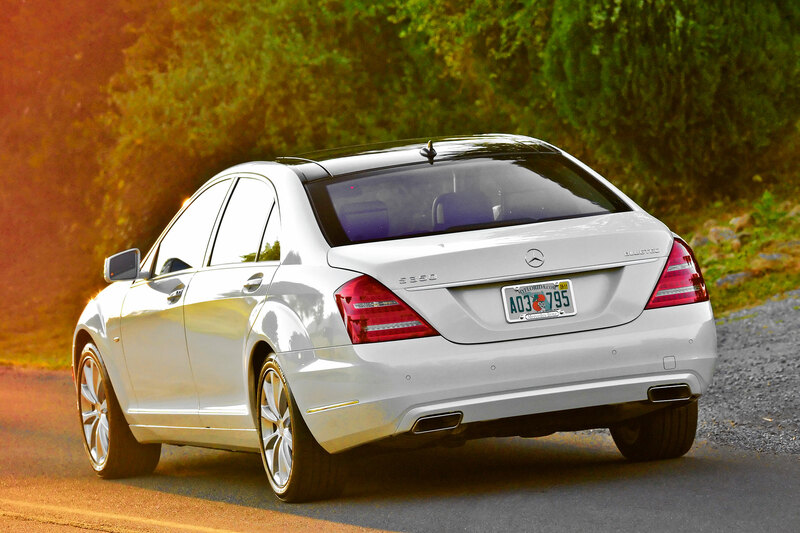 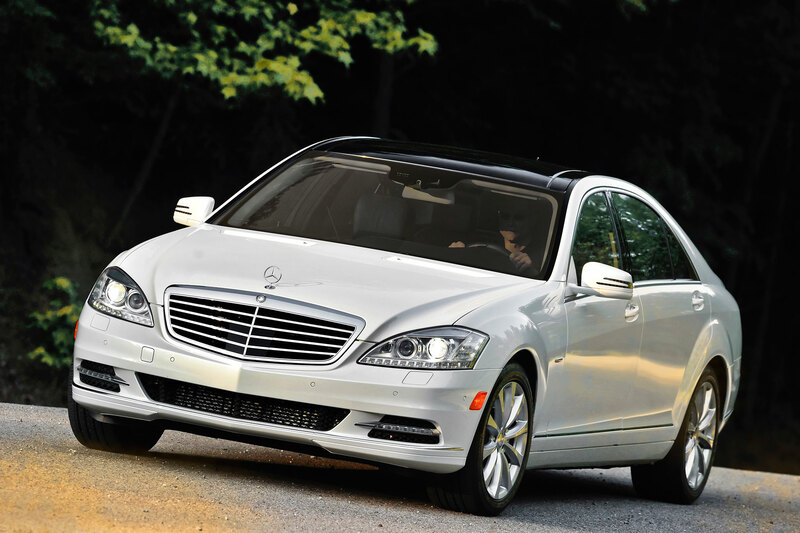 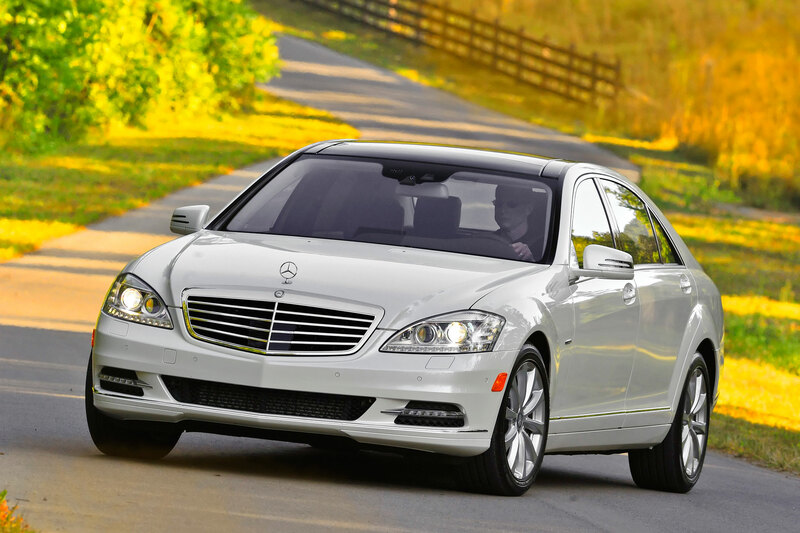 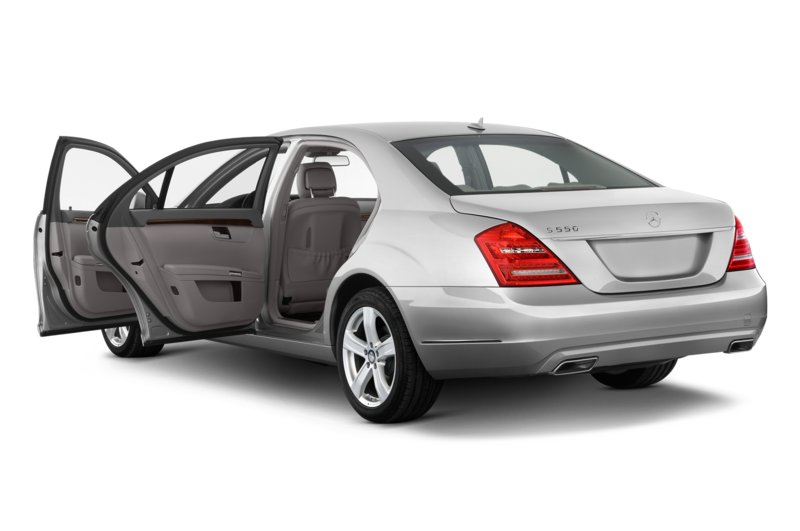 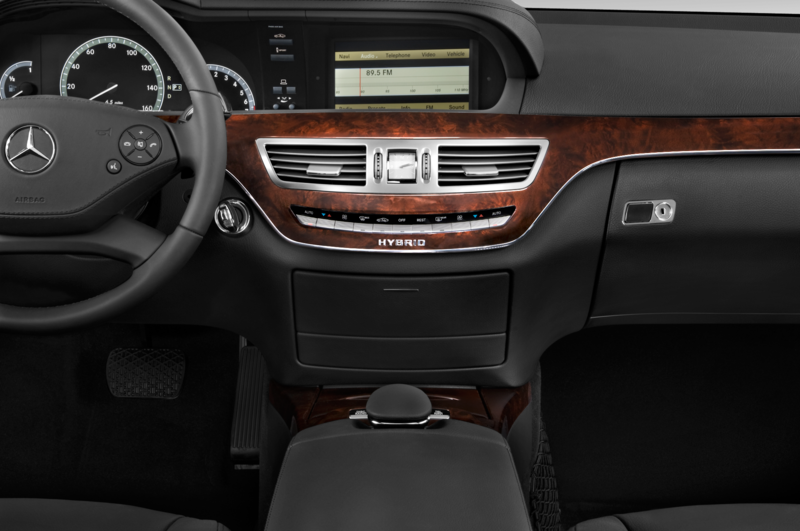 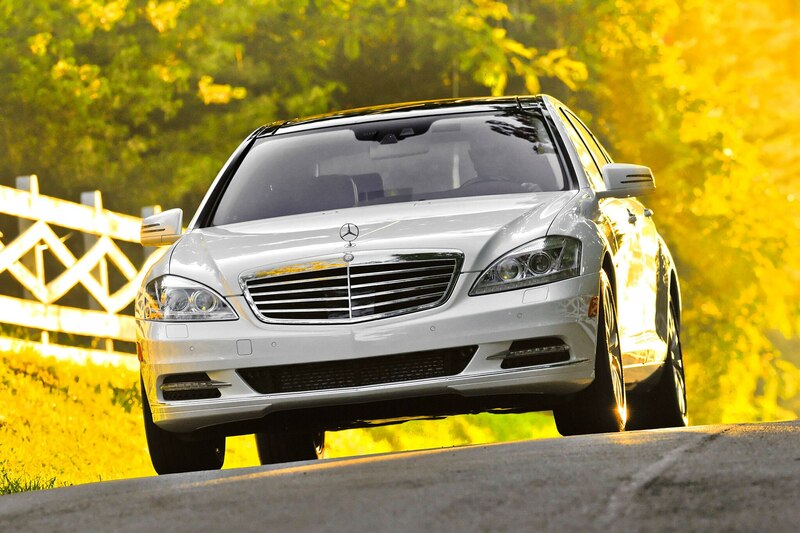 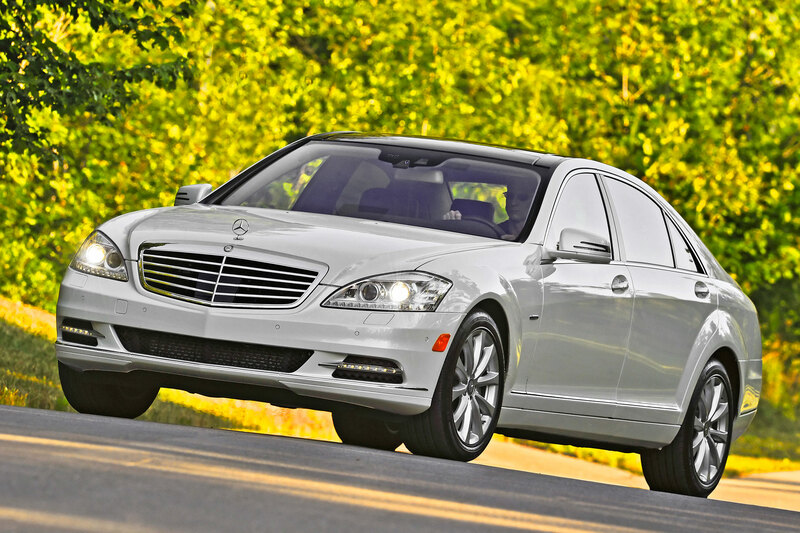 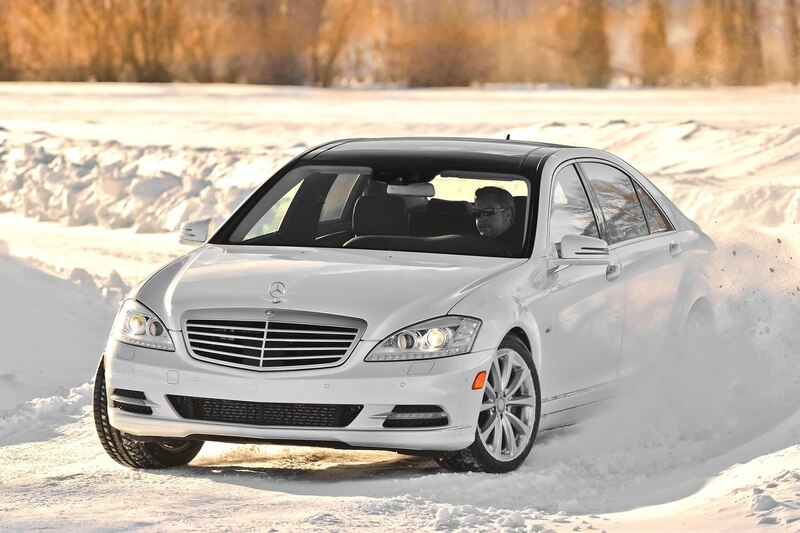 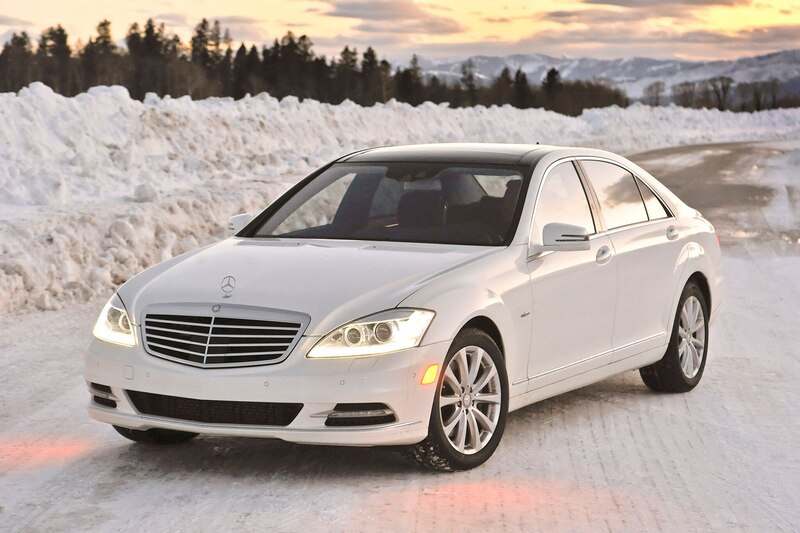 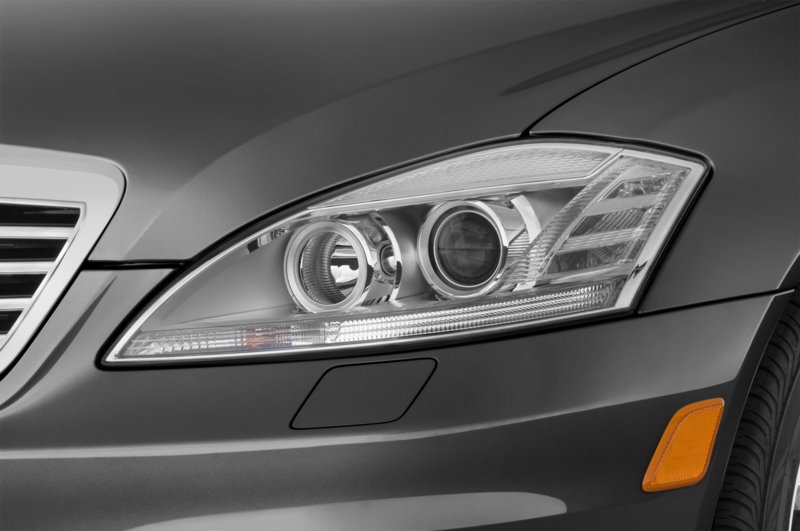 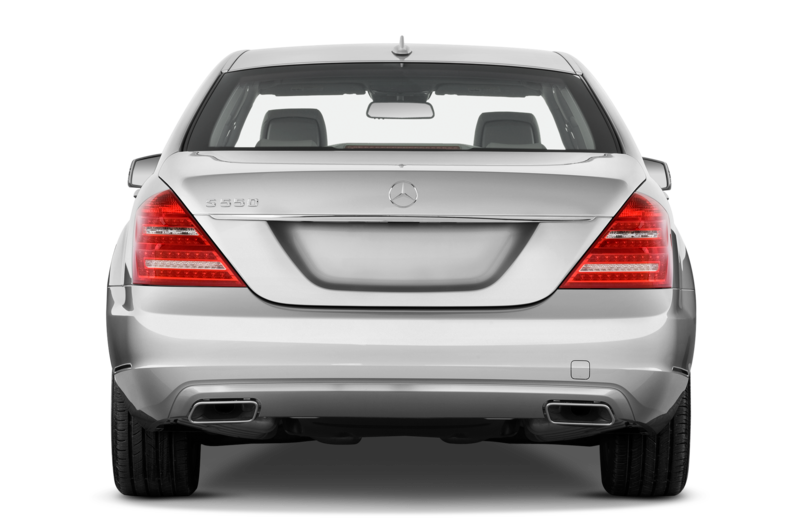 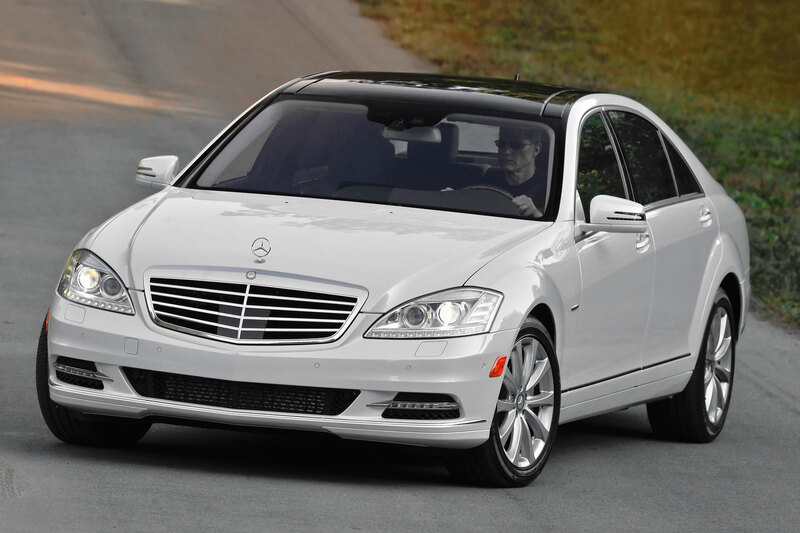 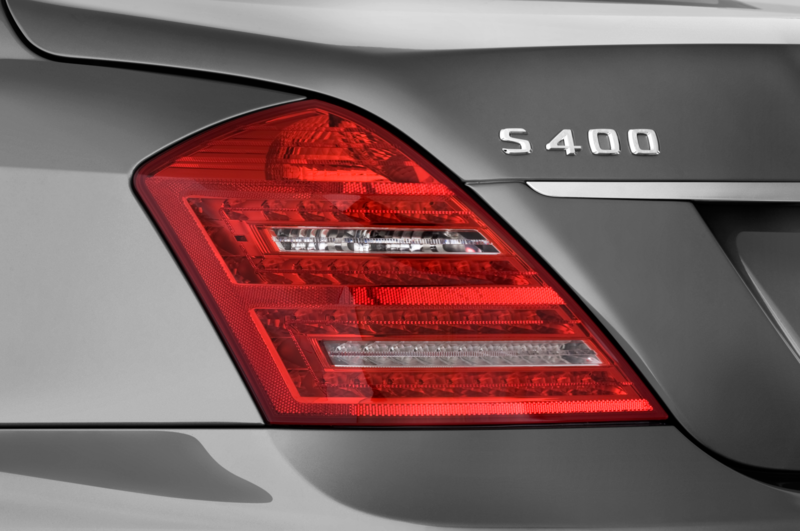 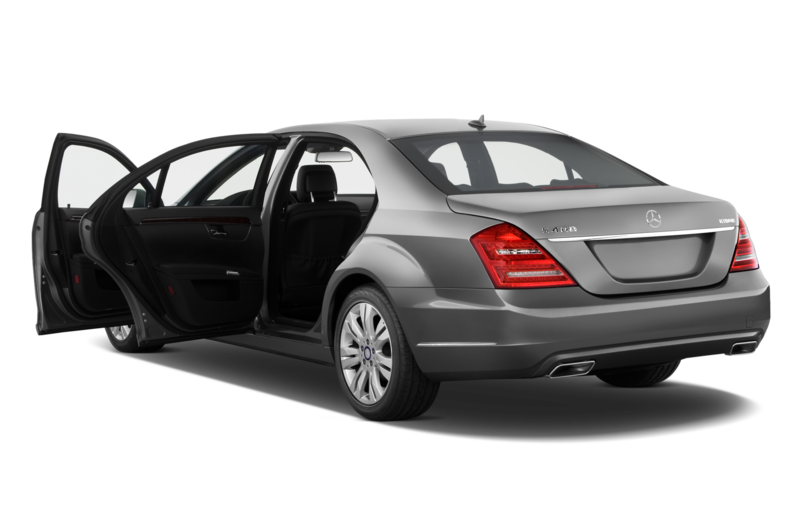 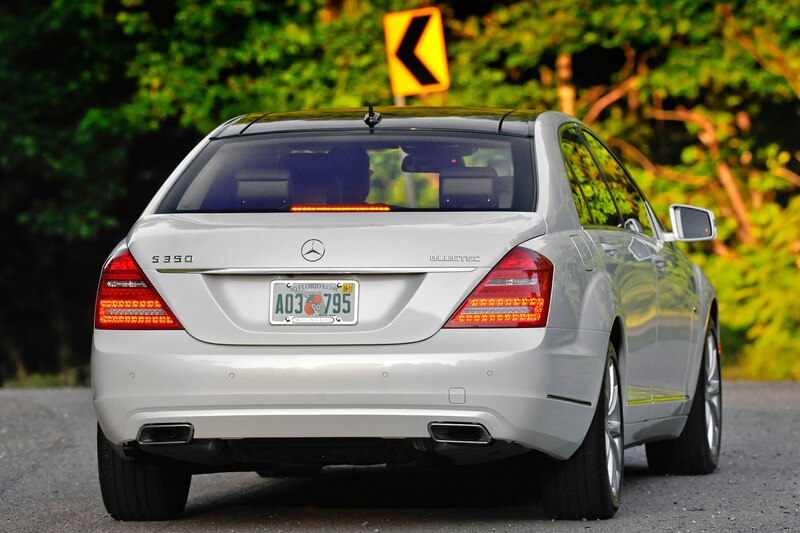 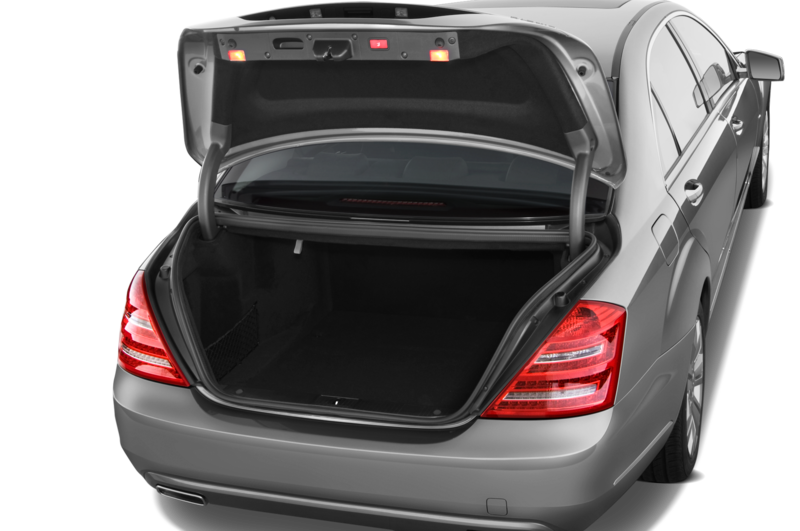 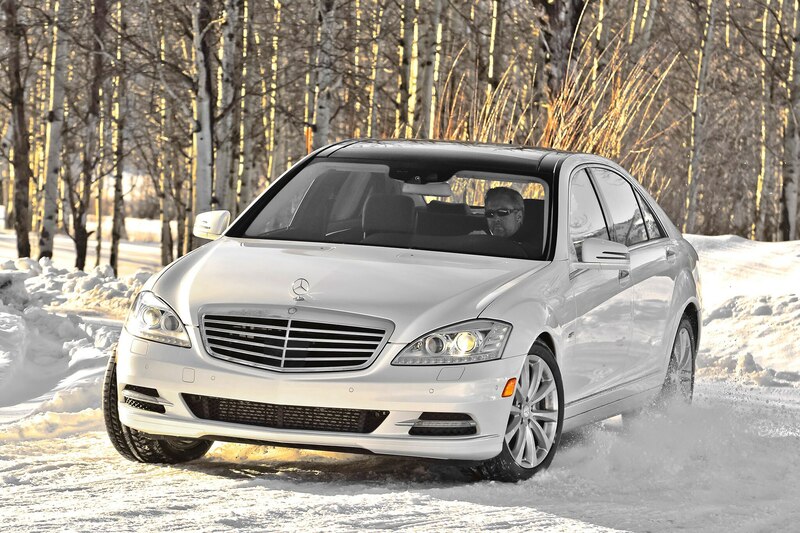 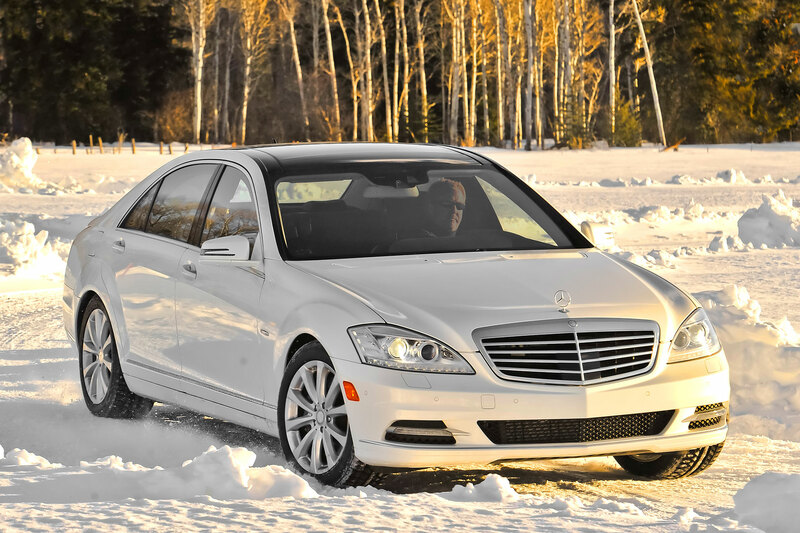 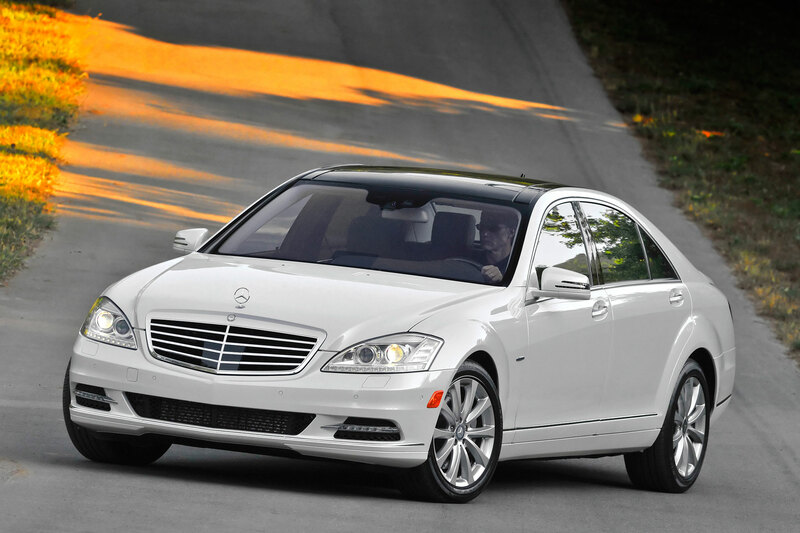 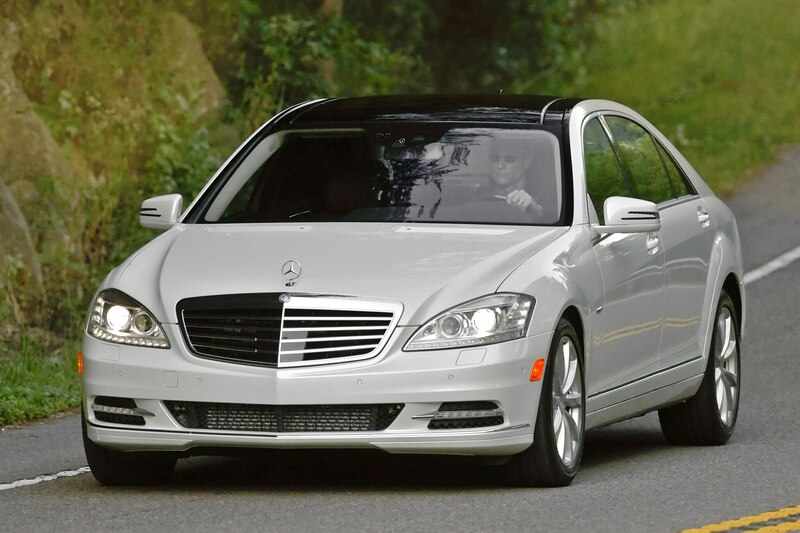 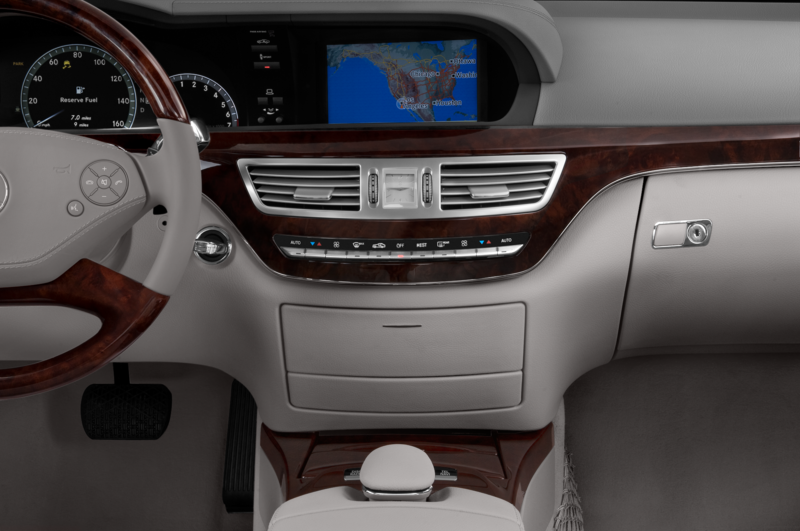 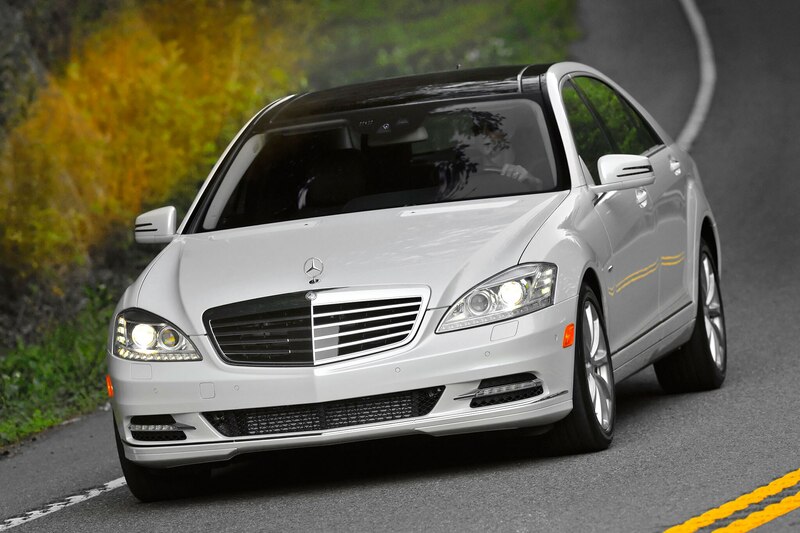 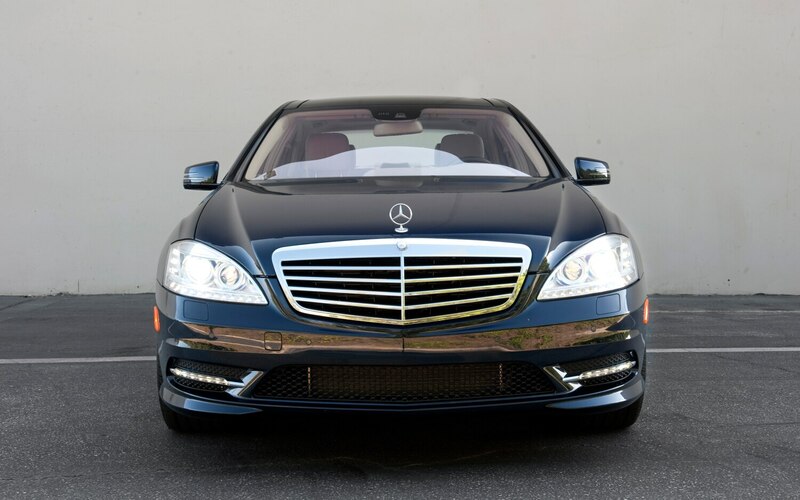 The current iteration of S-Class (codenamed the W221) has been on sale since 2005. 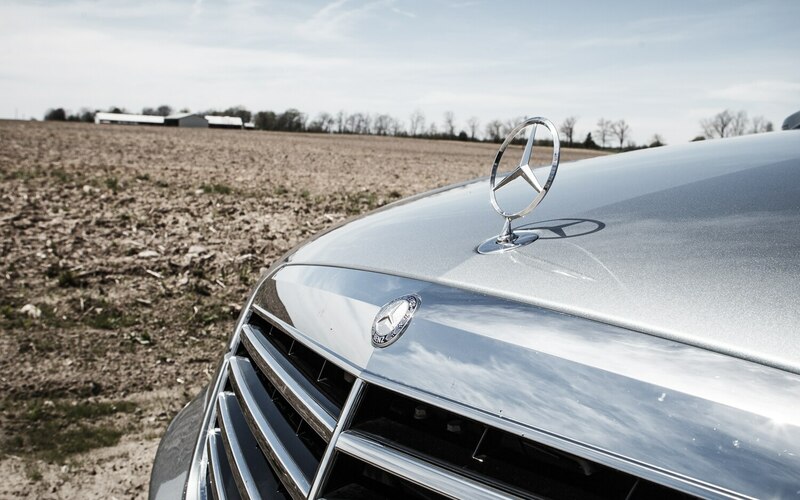 In the eight years since, competition from Audi, BMW, Jaguar, and Porsche have made life a bit more difficult for the halo car with the three-pointed star. 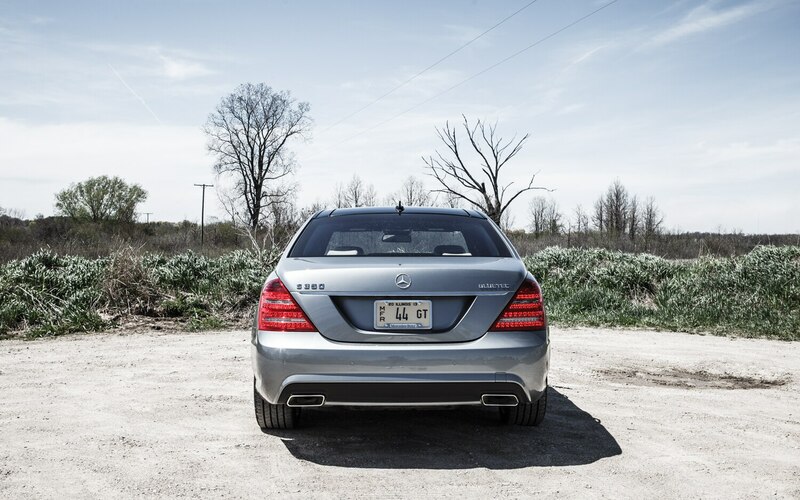 It doesn’t take long to see evidence of that age. 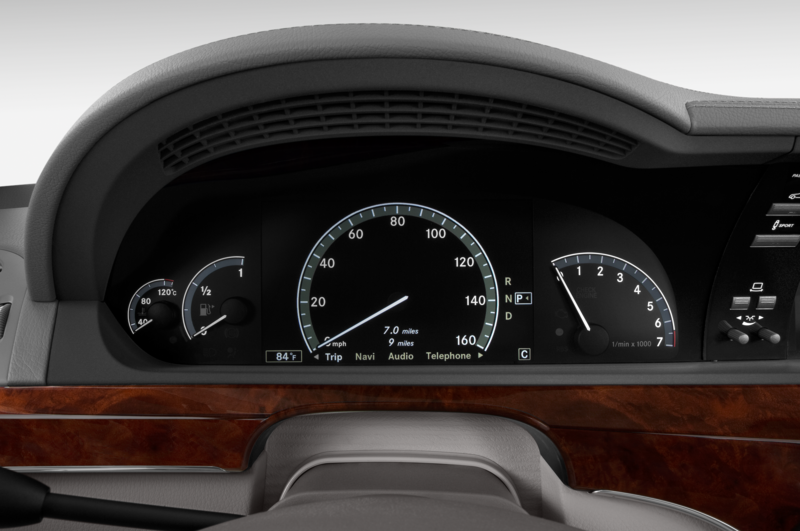 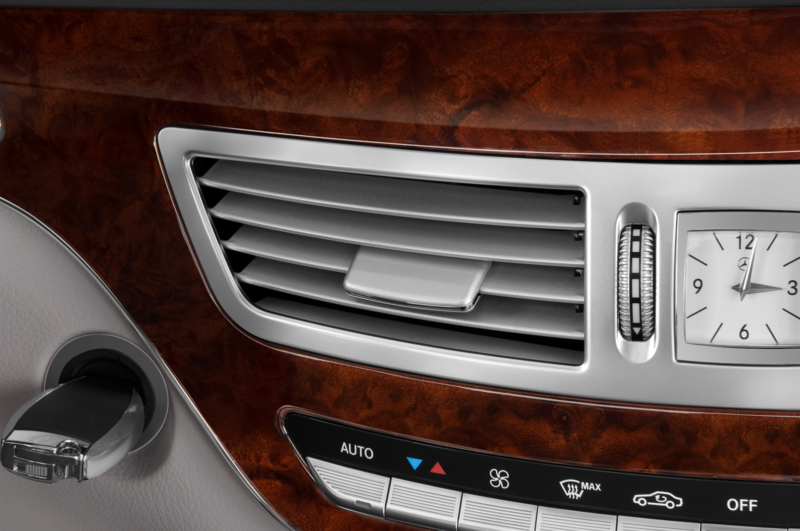 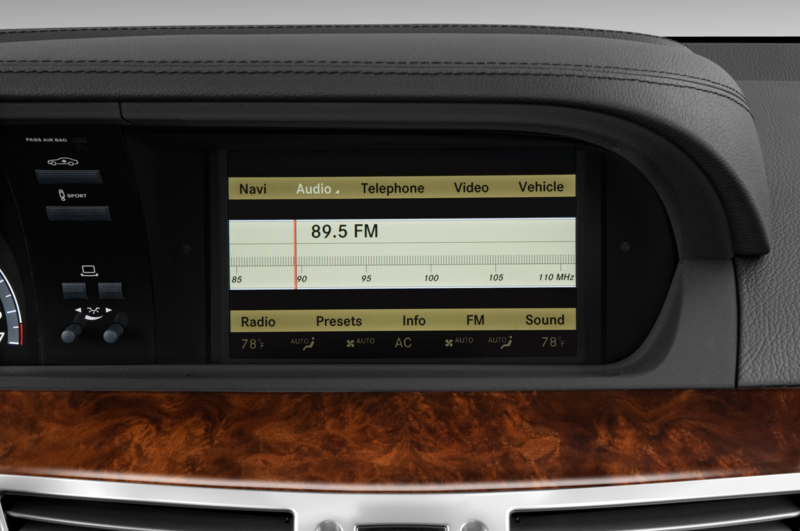 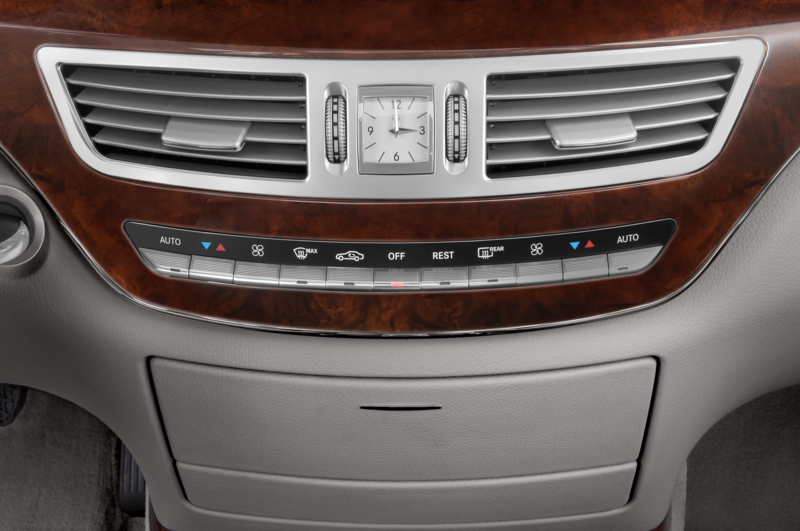 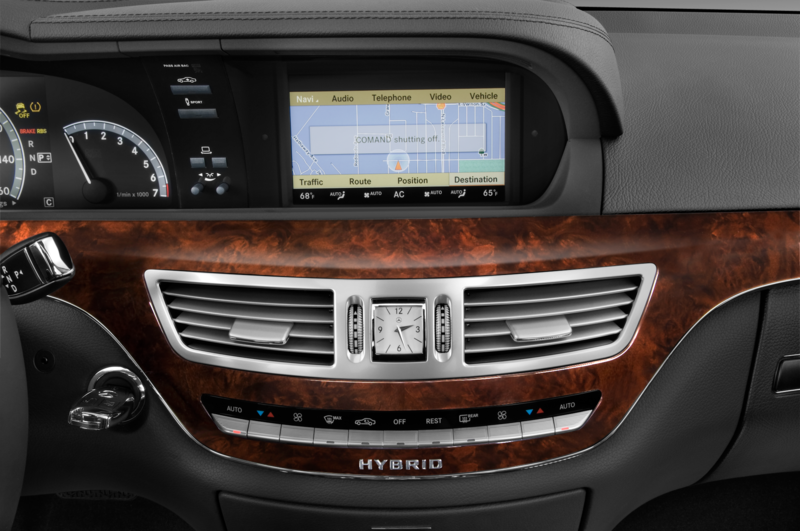 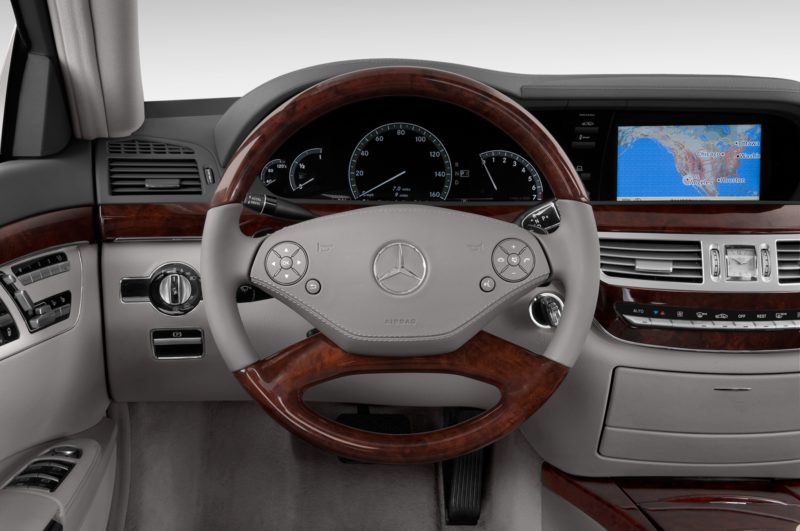 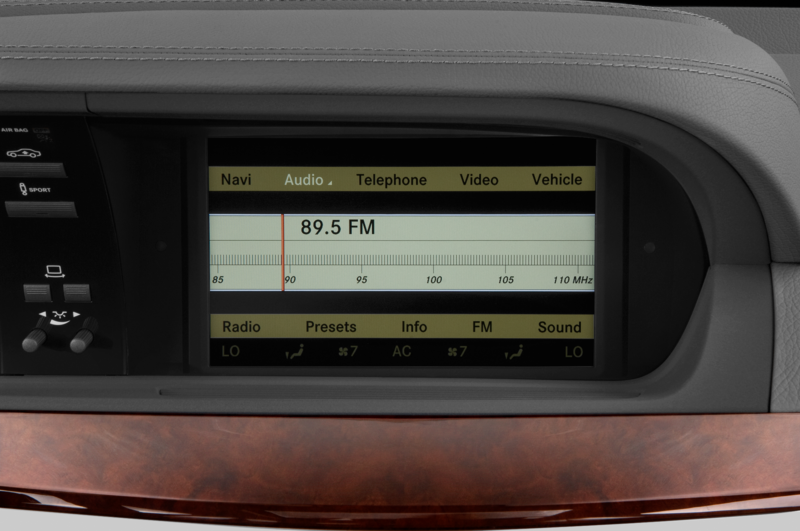 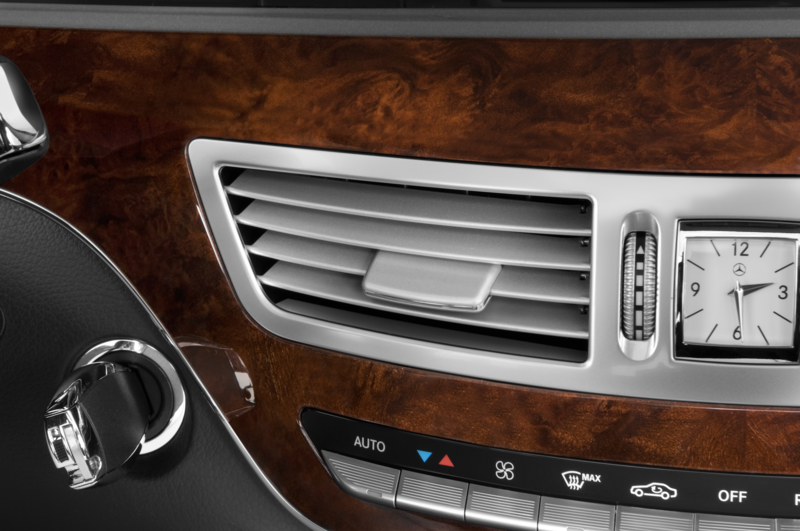 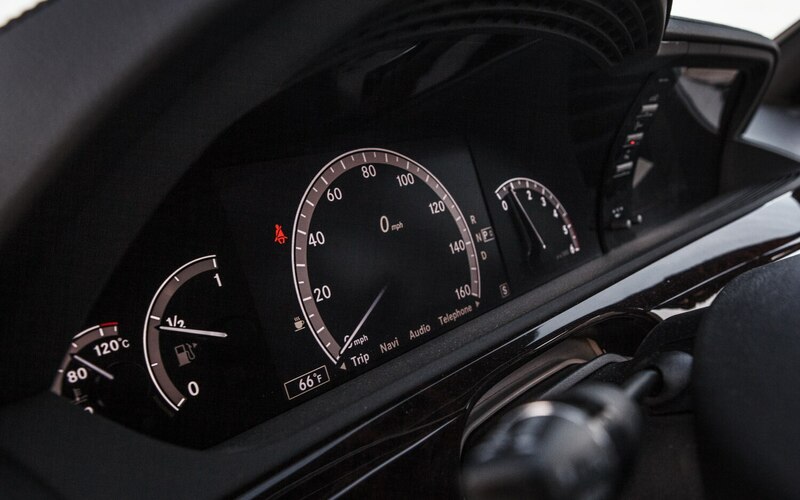 The W221 uses an older version of Mercedes’ COMAND infotainment system, and features that were once the cutting edge now look dated. 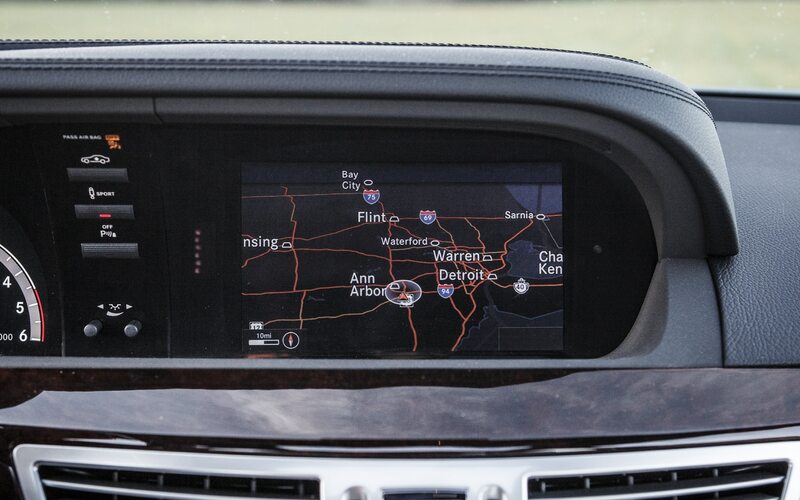 The full-color TFT screen on the gauge cluster, once an incredible, industry-leading feature, is now available on the Dodge Dart. 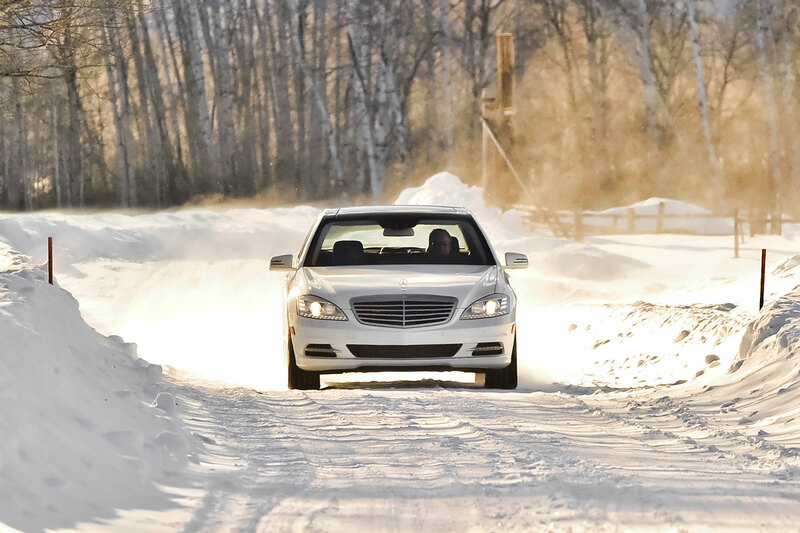 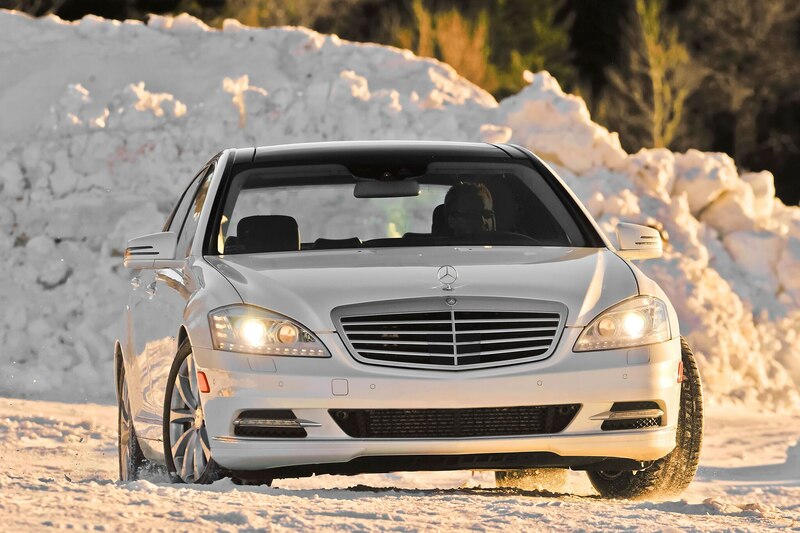 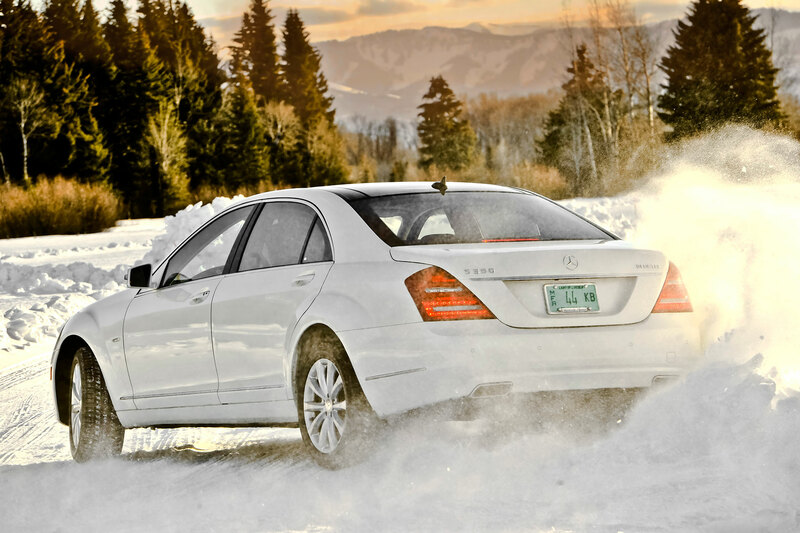 But here’s the thing: the S-Class can still amaze you, even in its old age. 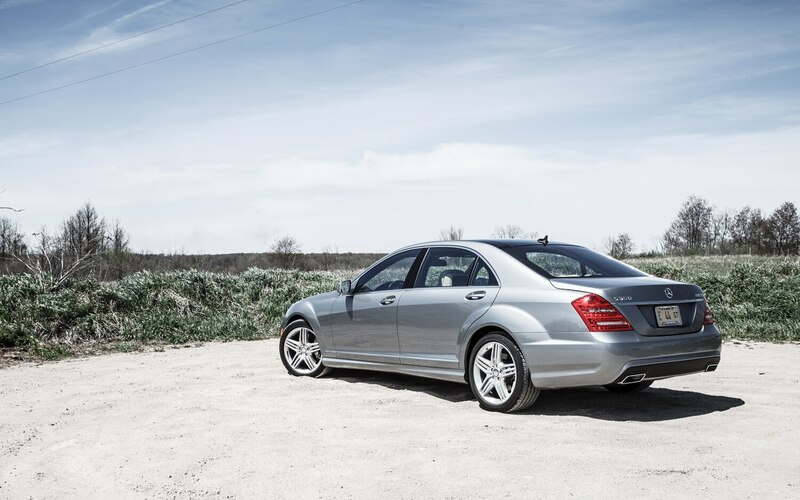 On the road its poise is nearly unassailable, a combination of the Airmatic suspension, the seven-speed automatic transmission, and the Pinkberry-smooth diesel engine. 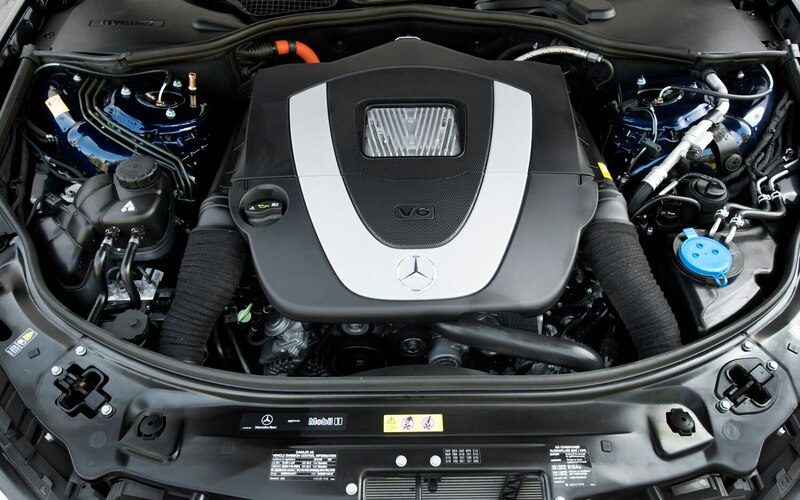 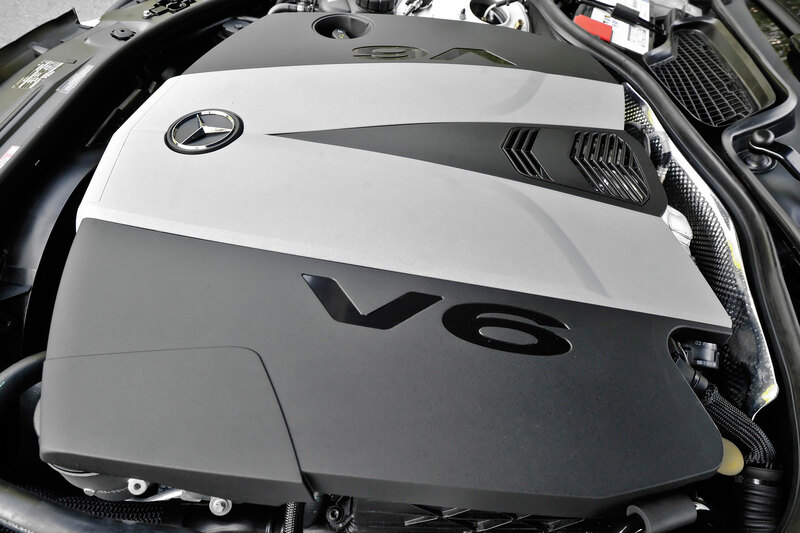 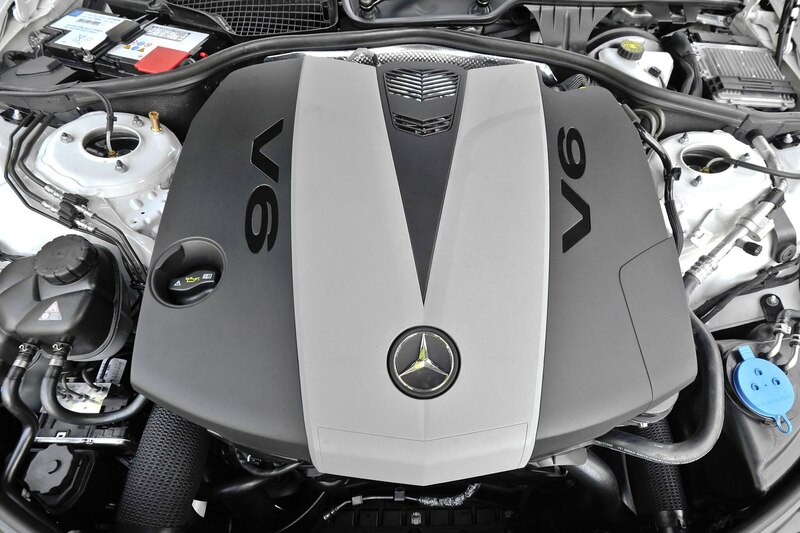 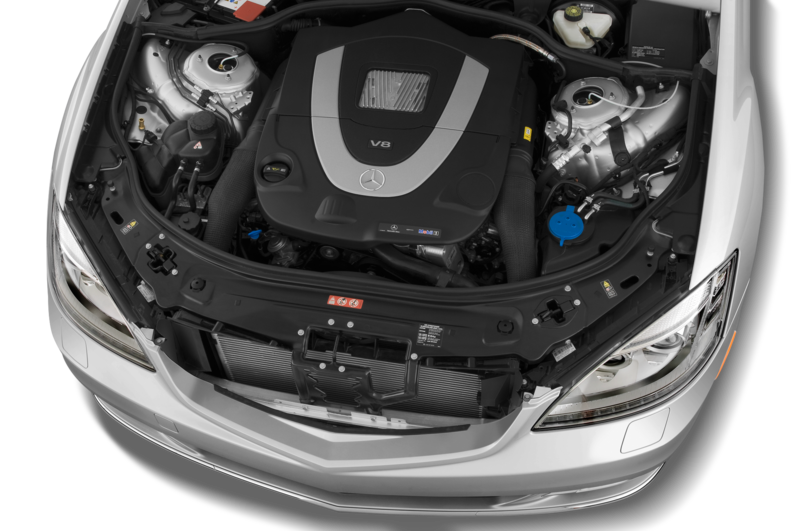 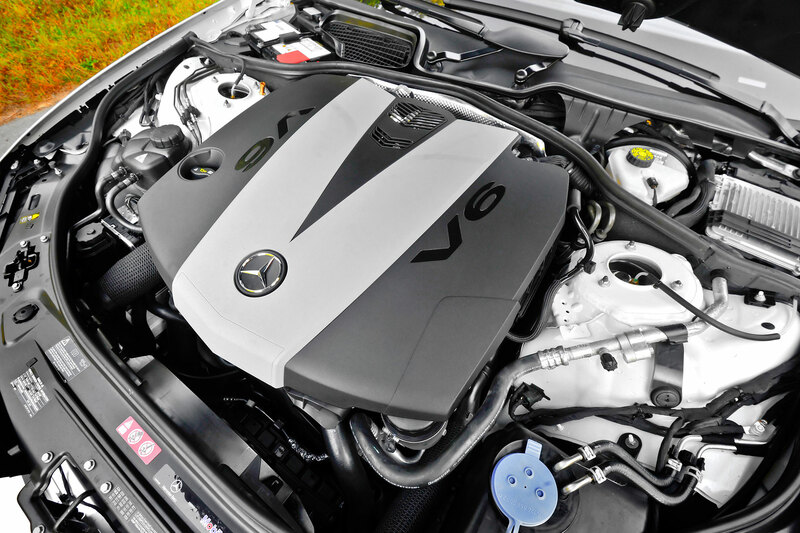 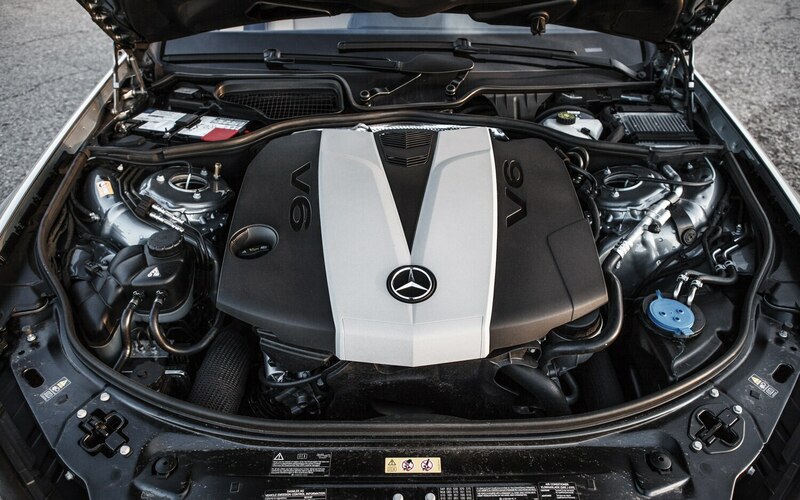 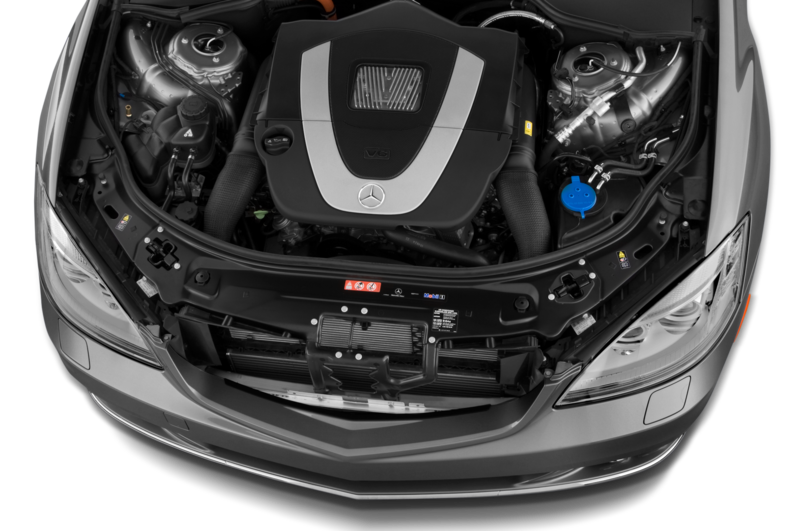 Sure, the forced-induction six-cylinder gasoline engines in the Jaguar XJ 3.0, Audi A8 3.0T, and BMW 740Li have more oomph, but the Merc’s 3.0-liter turbodiesel V-6, with its 455 lb-ft of torque, puts the others to shame in its ability to waft you away from a stop or around slower-moving traffic. 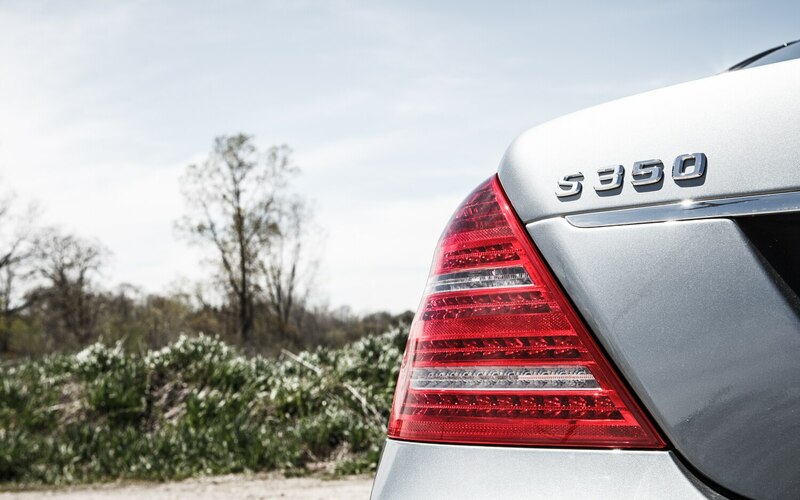 It’s no small feat that this car is still a big player, even at the ripe age of eight. 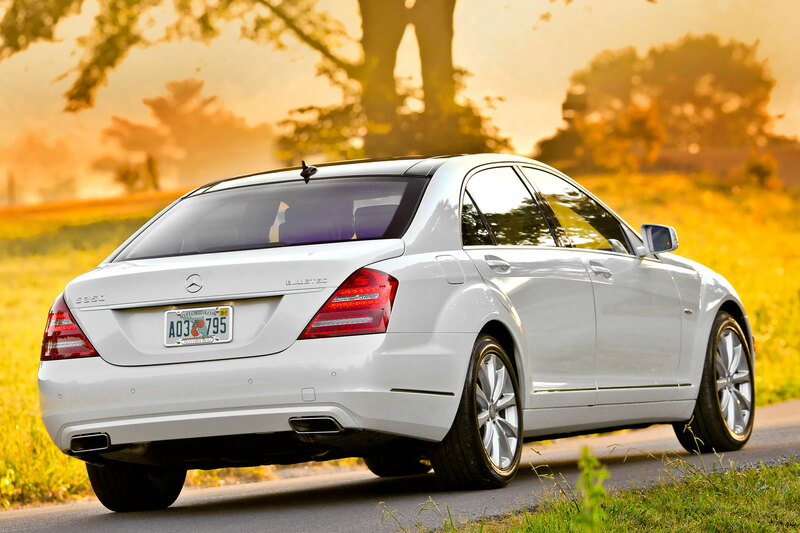 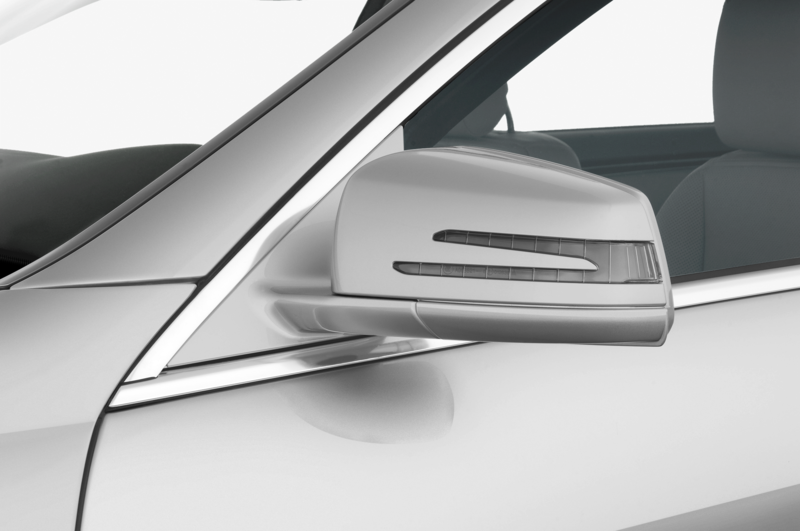 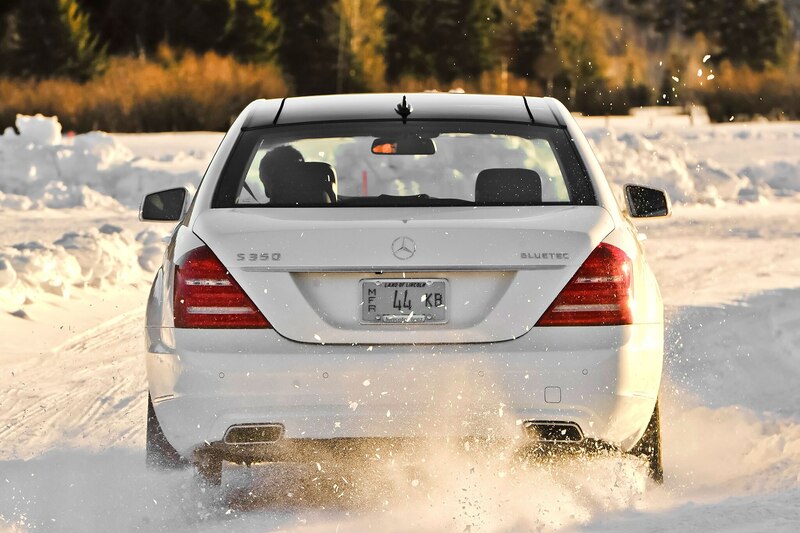 It’s also a sign of things to come: the W222 bows this summer, and it’ll probably amaze us all over again. 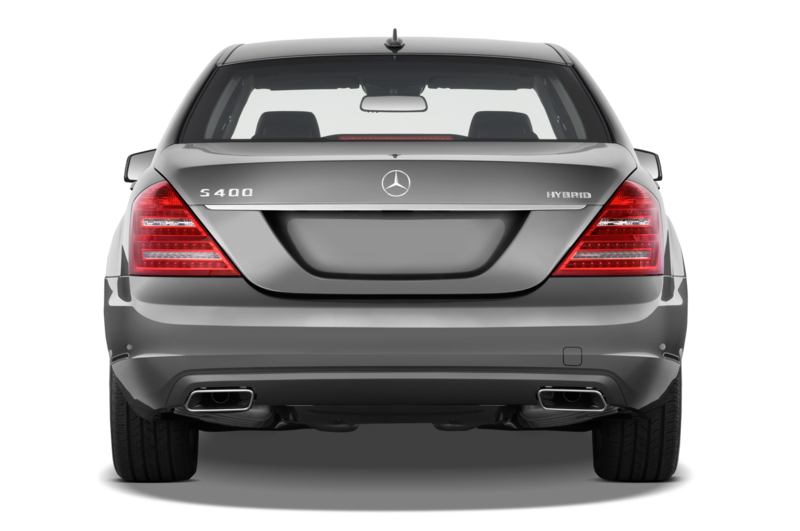 I have a soft spot in my heart for the old dear. 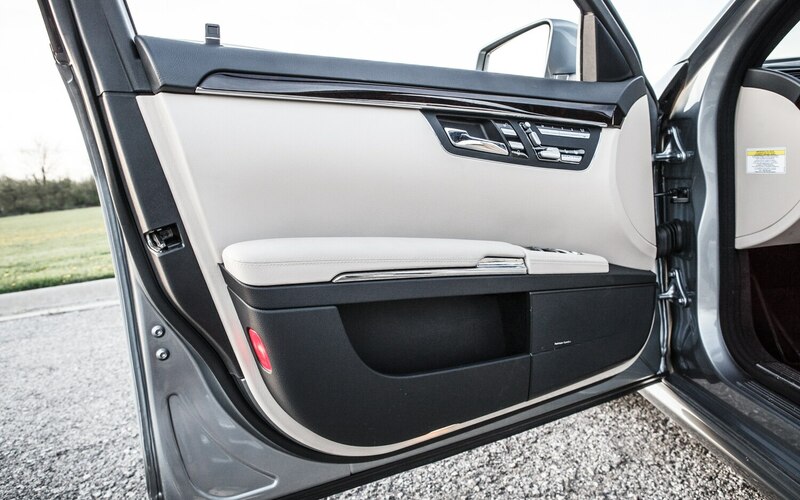 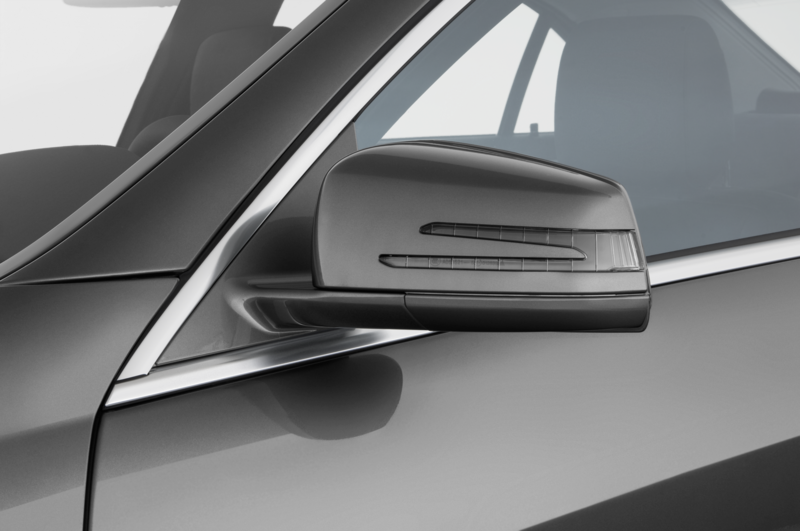 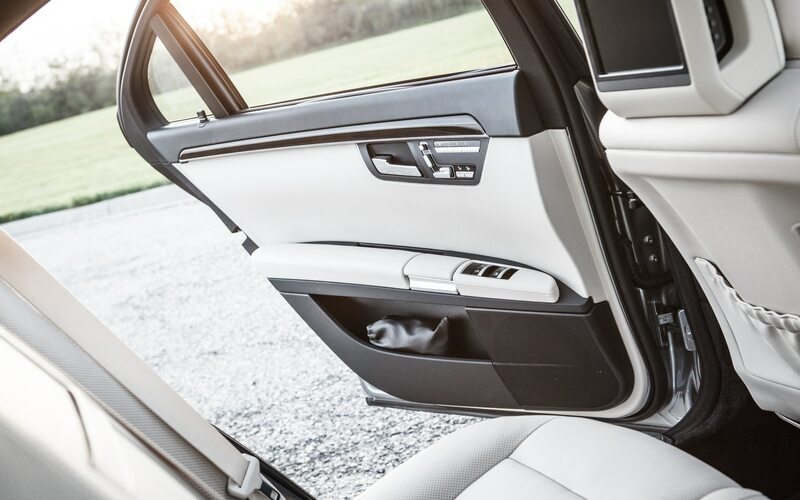 Sure, the BMW 7 Series goes around tight corners more quickly, but who buys something this big with the idea of going around corners quickly. 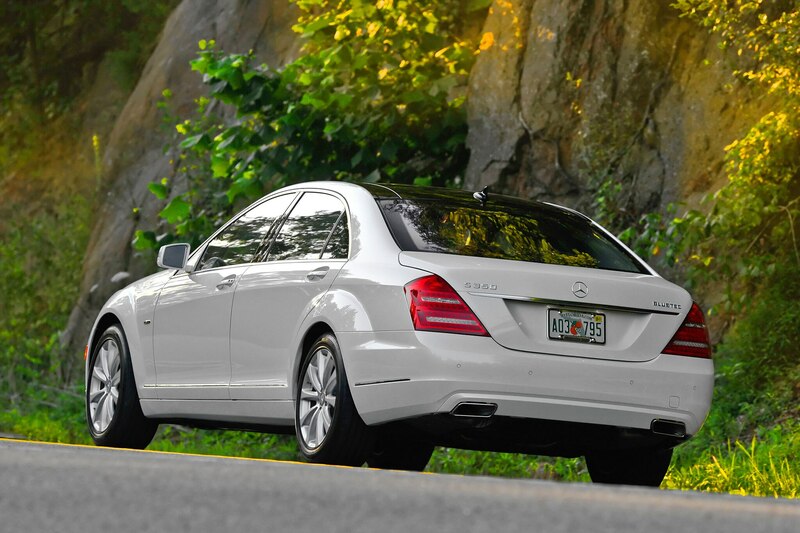 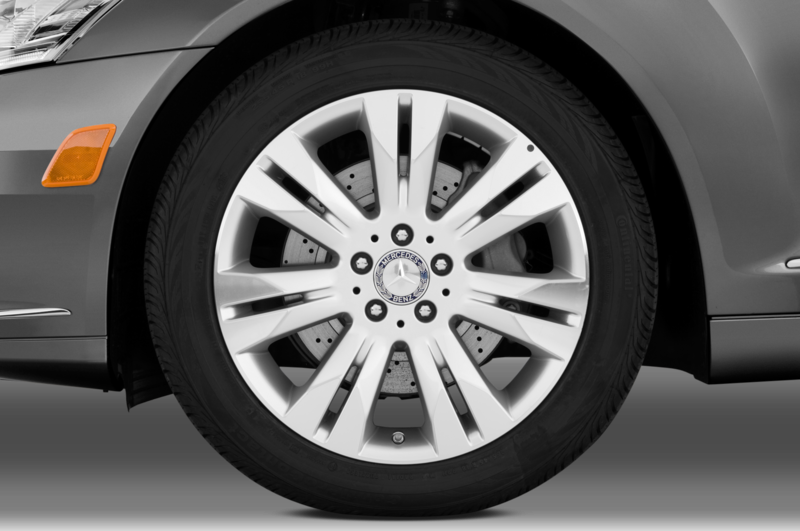 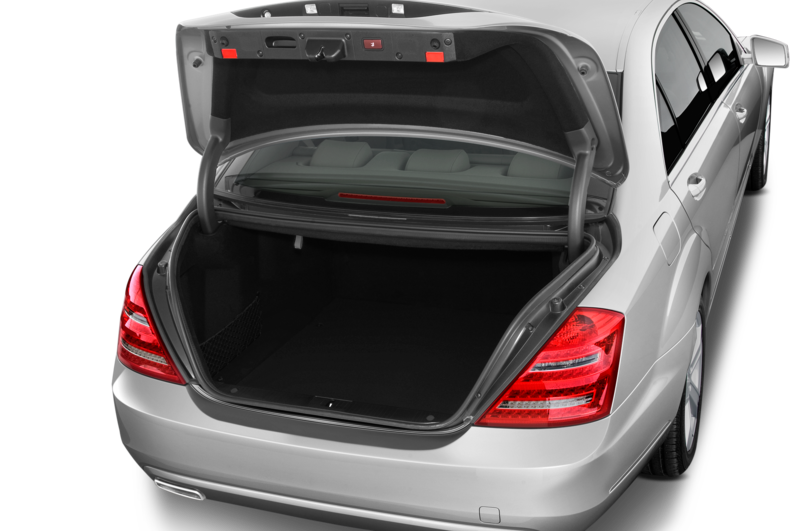 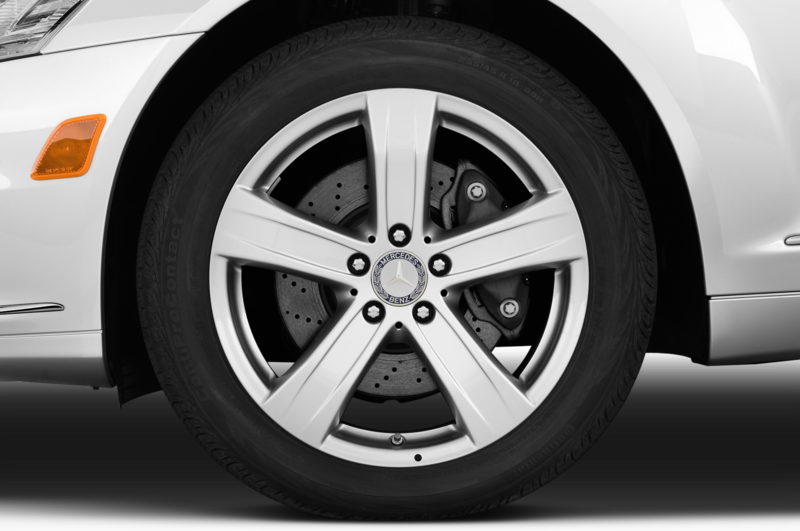 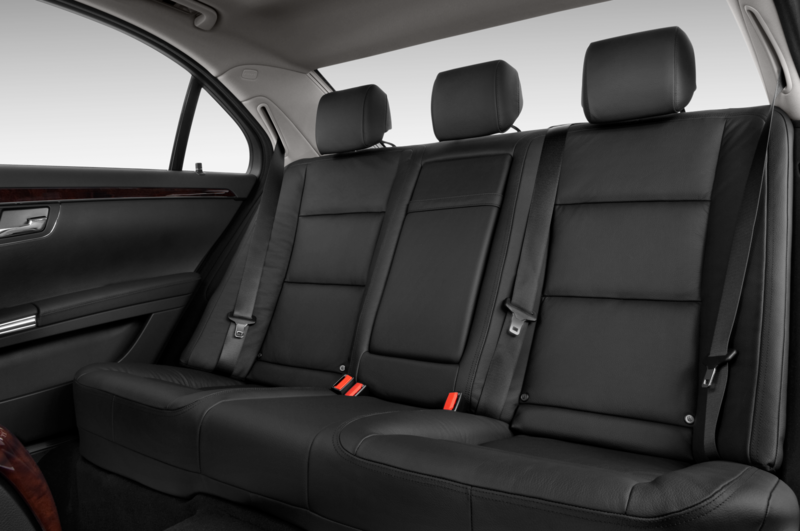 Mercedes-Benz simply is more at home with this sort of car, and in the end, they truly do it best. 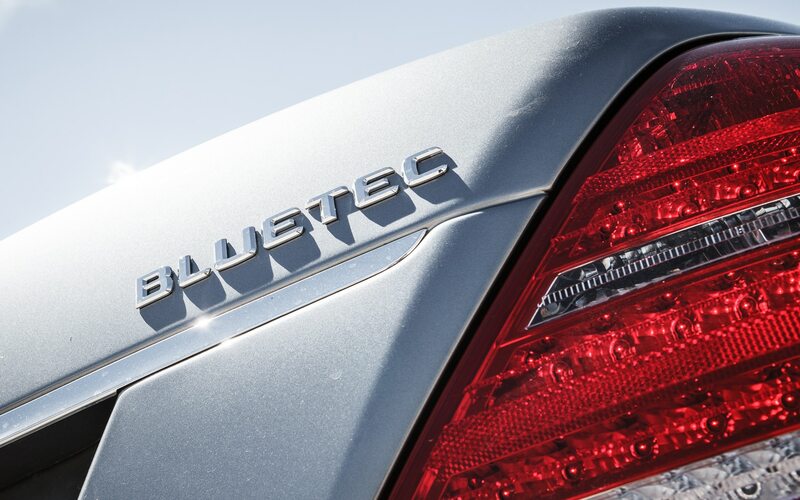 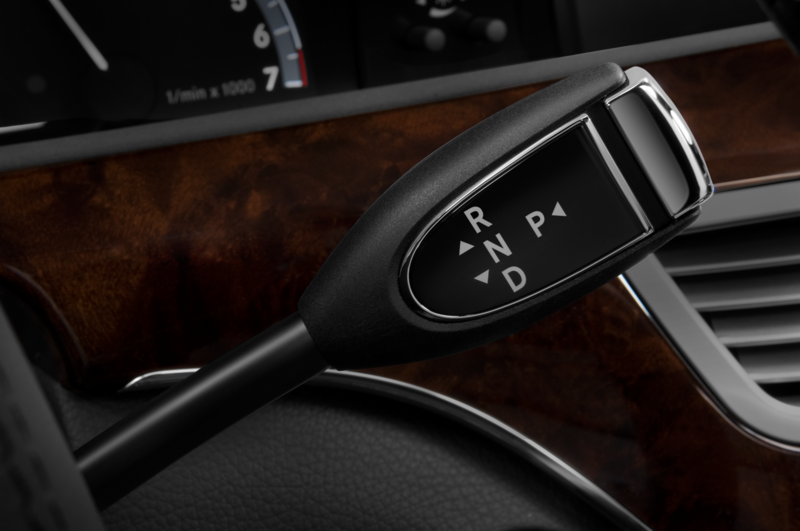 I’ve got to say, though, that throttle tip-in with the turbo-diesel V-6 is substandard. 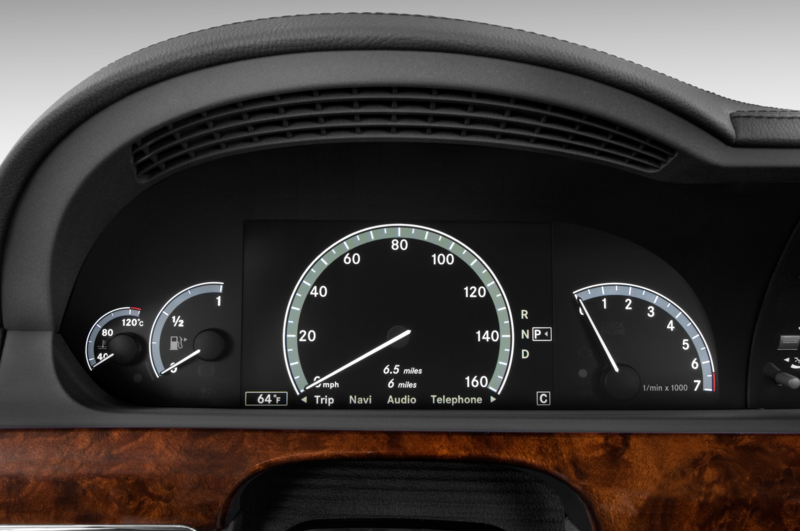 I think we’ll be seeing more of that sort of thing as automakers try to meet ever-more-stringent fuel efficiency requirements. 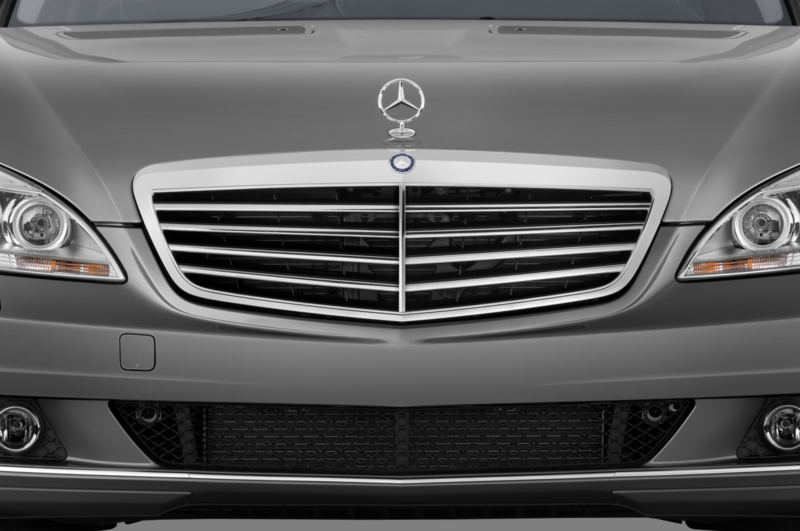 I wasted a great opportunity. 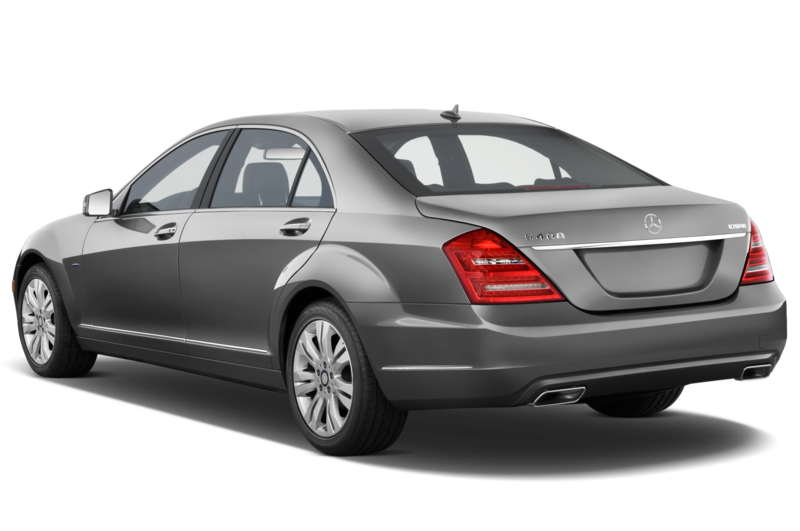 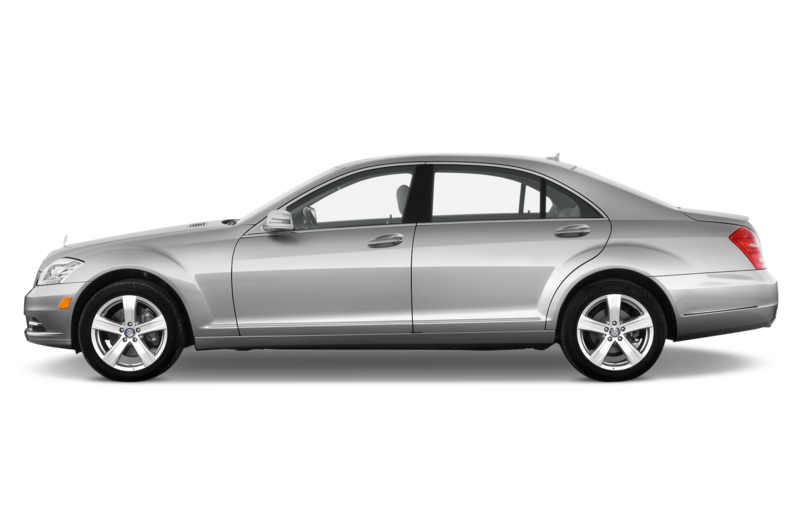 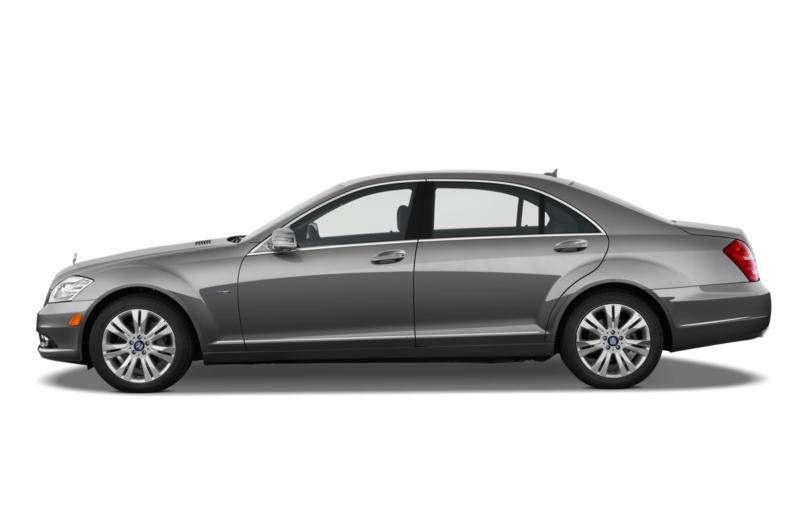 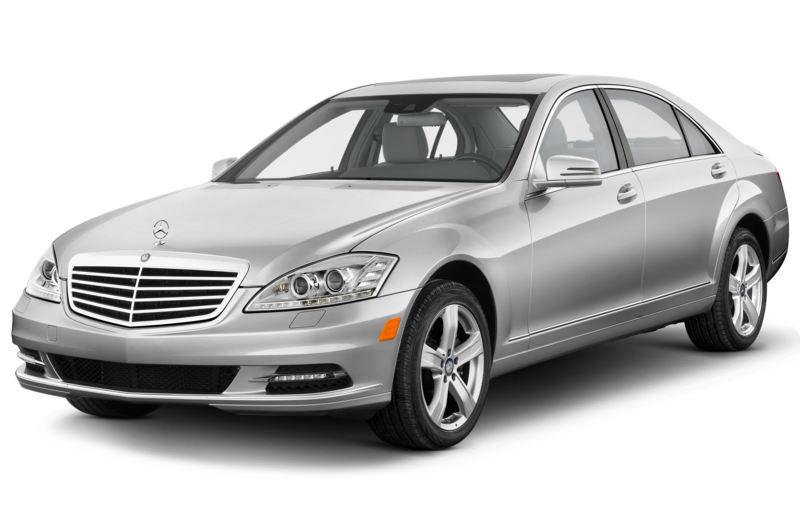 Instead of speeding across this great country in supreme comfort, with great style, while burning minimal hydrocarbons and enjoying one of my last chances behind the wheel of a new “W221” S-class, the S350 Bluetec sat in my driveway almost the entire weekend I held its keys. 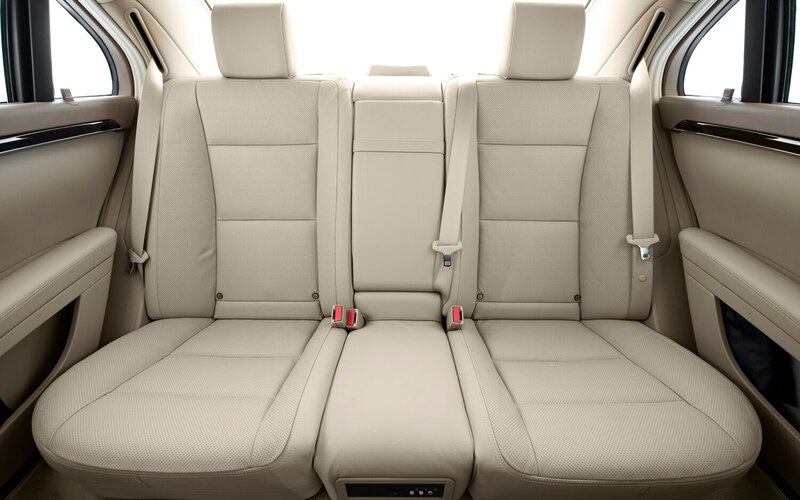 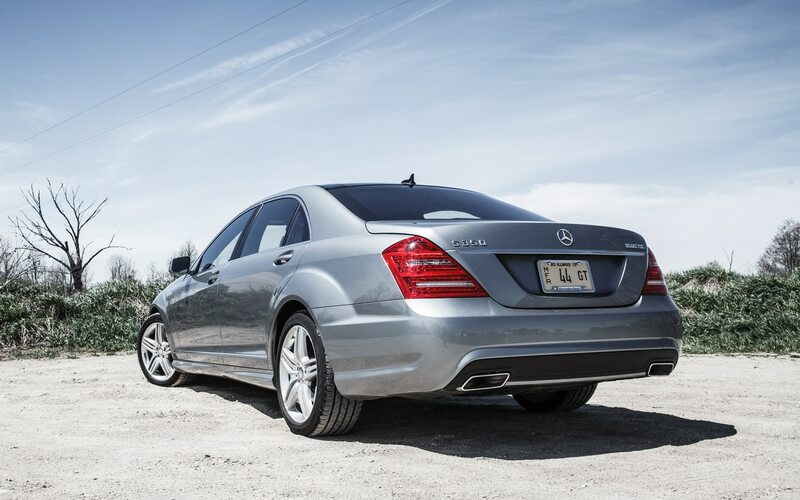 This is proof that I really love my family, and that my toddlers really don’t love impromptu road trips — even in one of the best road-tripping vehicles on the market. 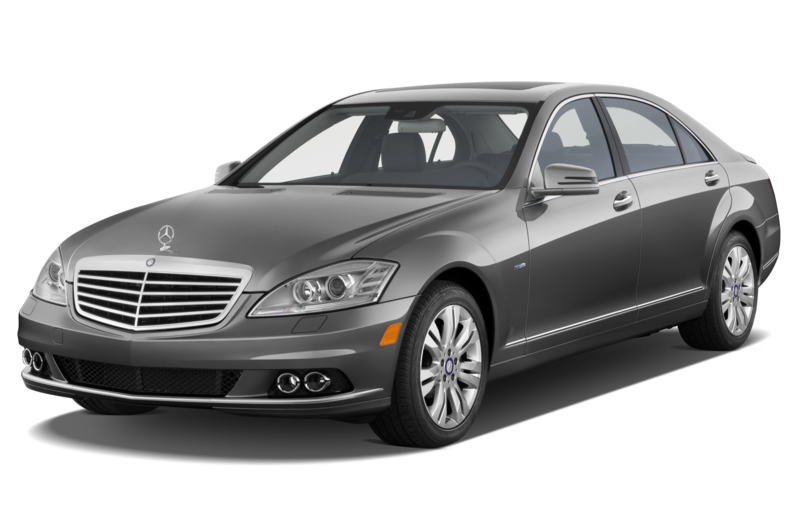 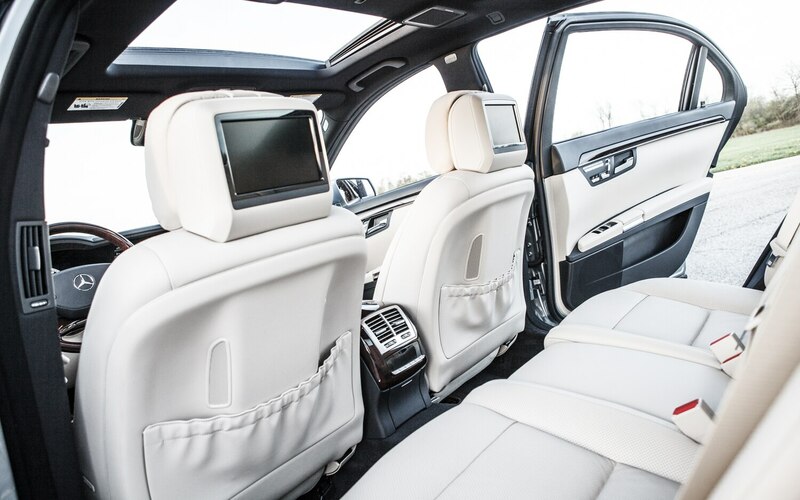 I’ve never flown first class, but I imagine it’s a lot like driving an S-class — just without massaging seats and a Harman/Kardon audio system. 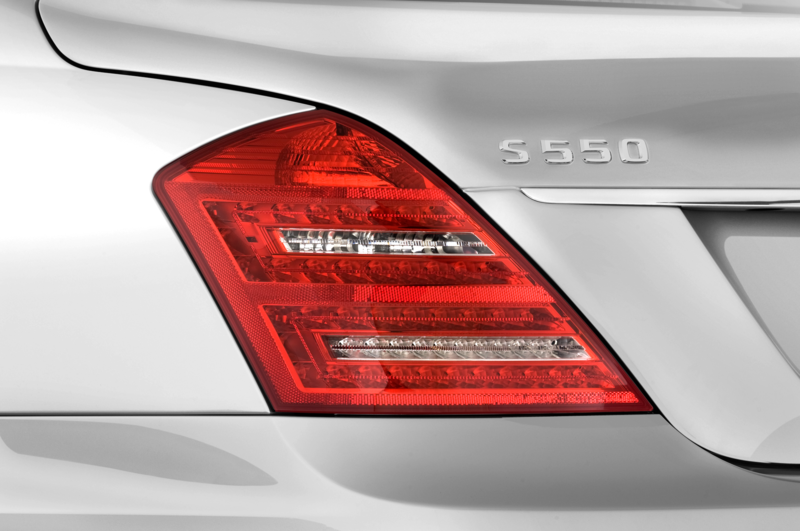 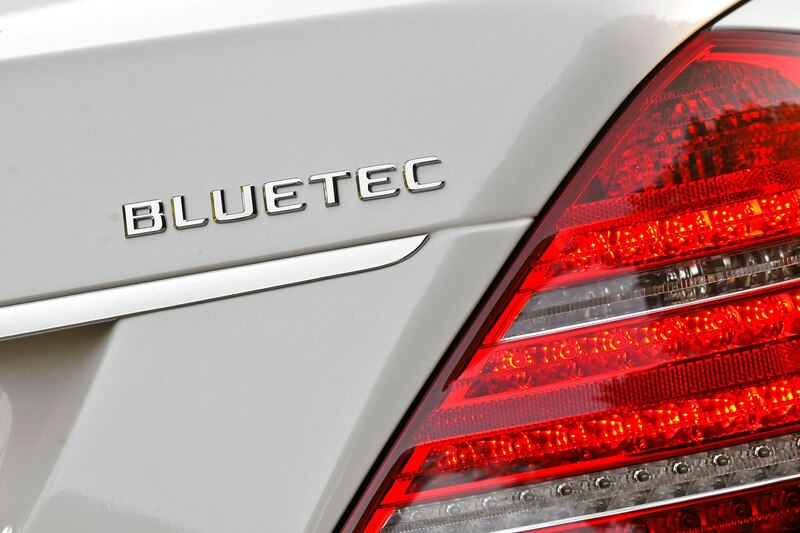 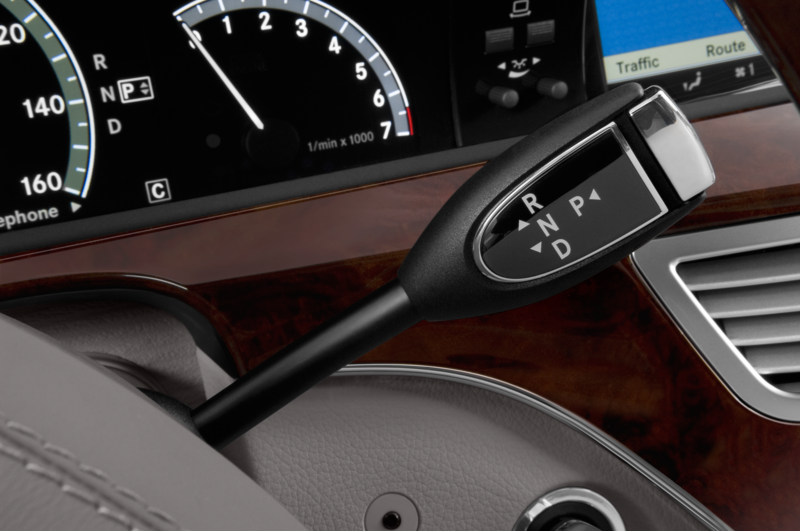 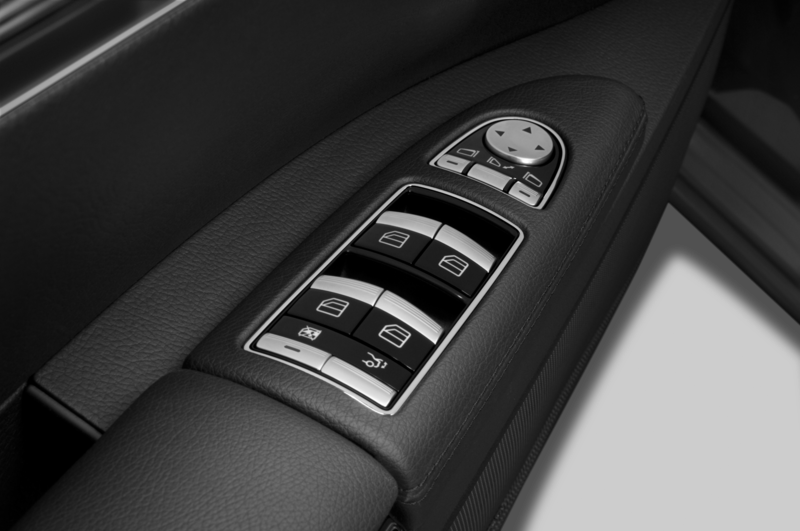 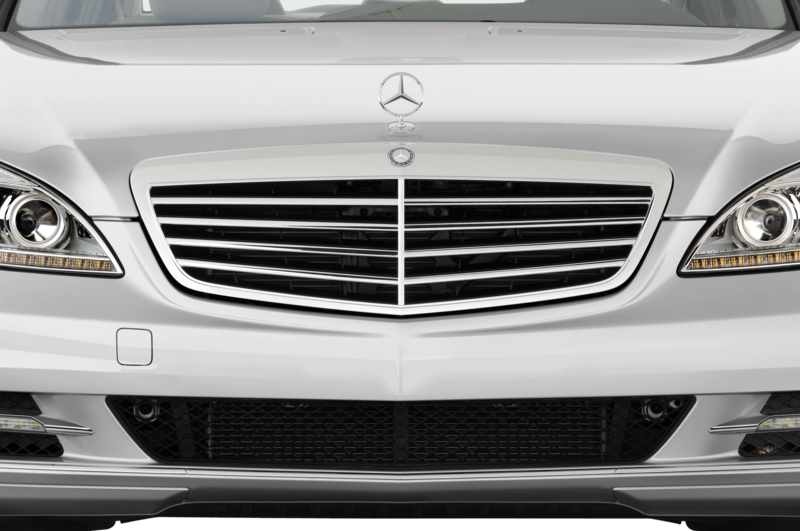 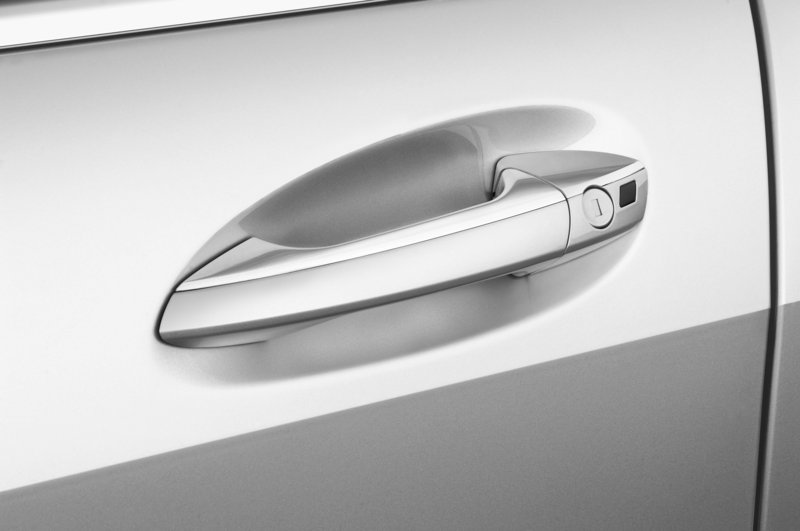 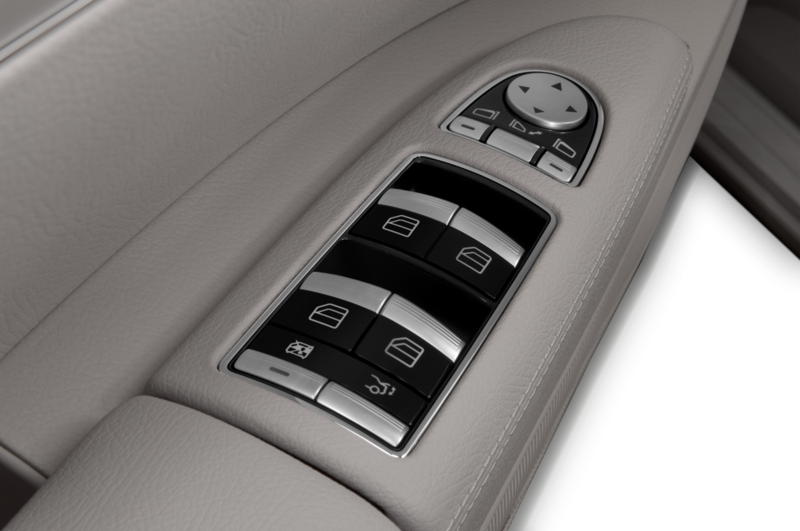 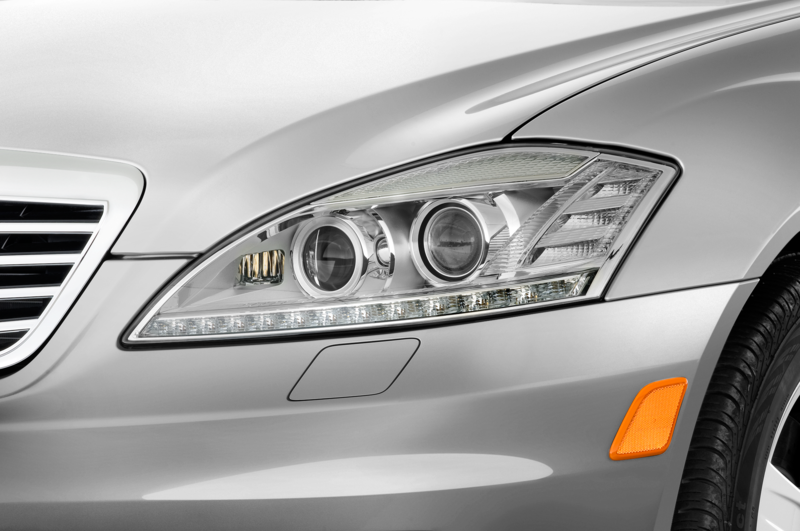 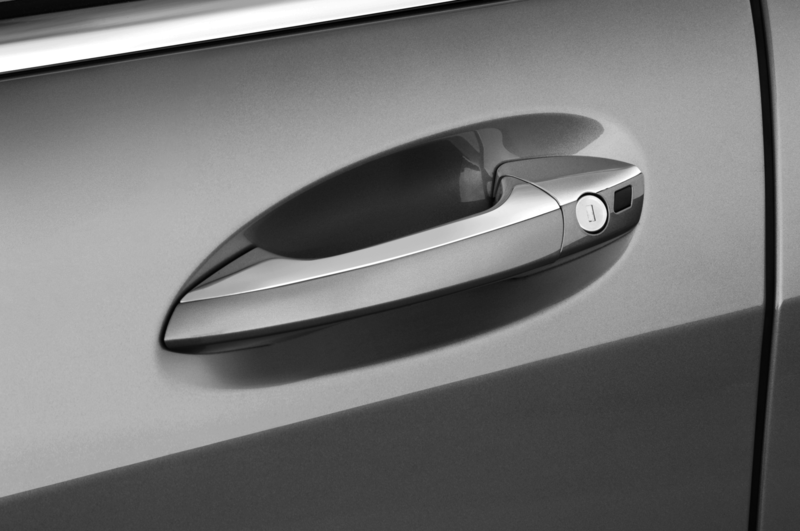 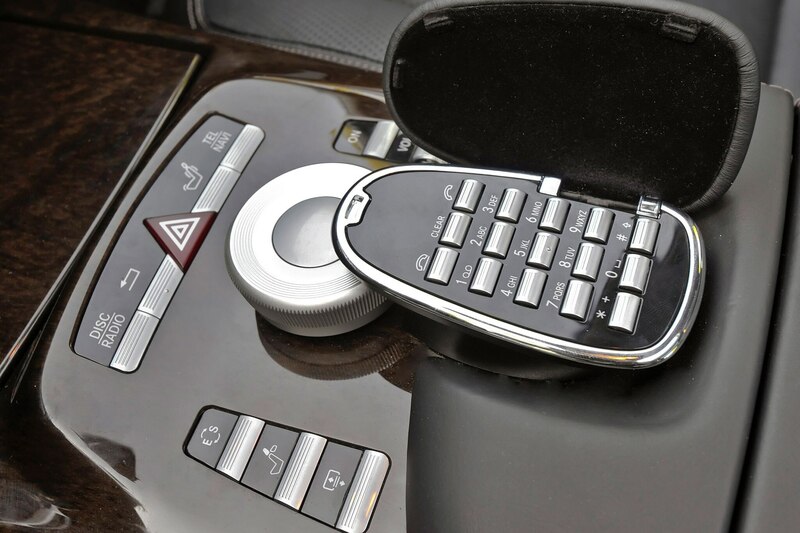 2012’s Premium 2 package, which included parking assist and keyless ignition, is now standard on the S350 BlueTEC. 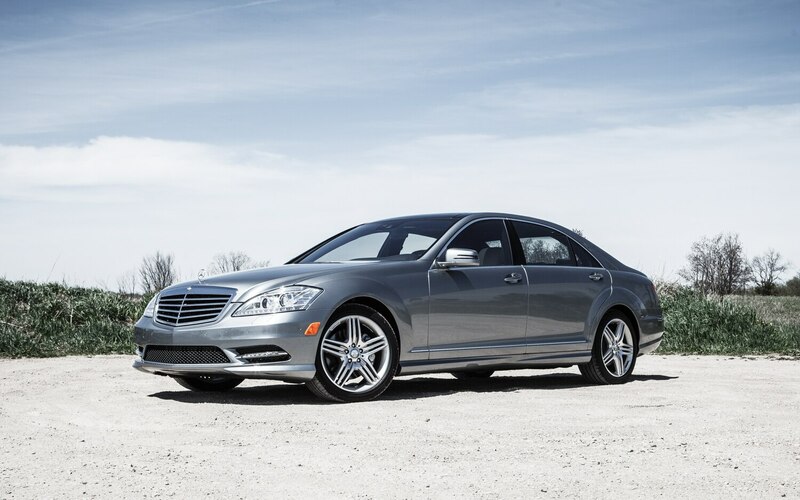 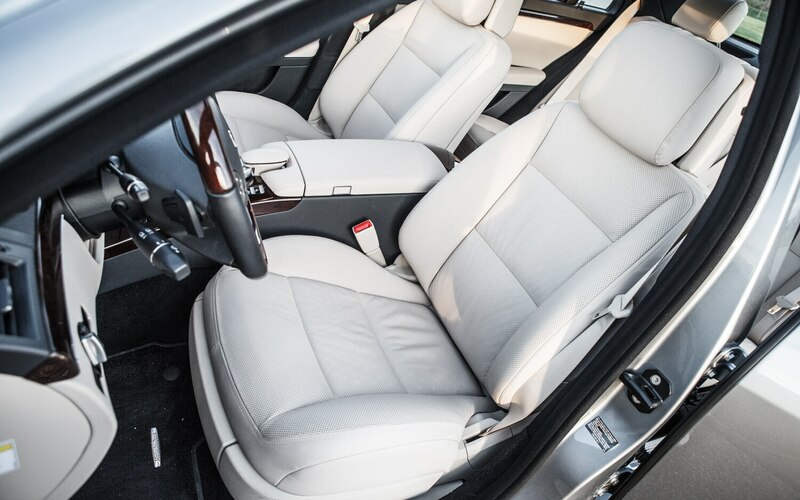 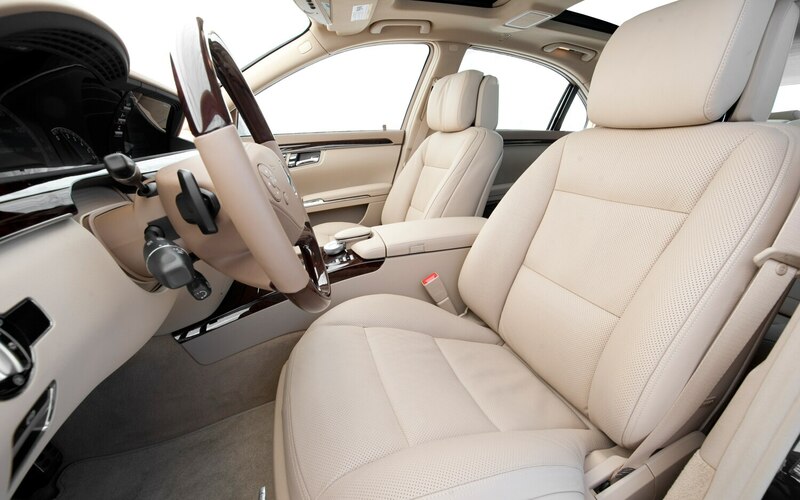 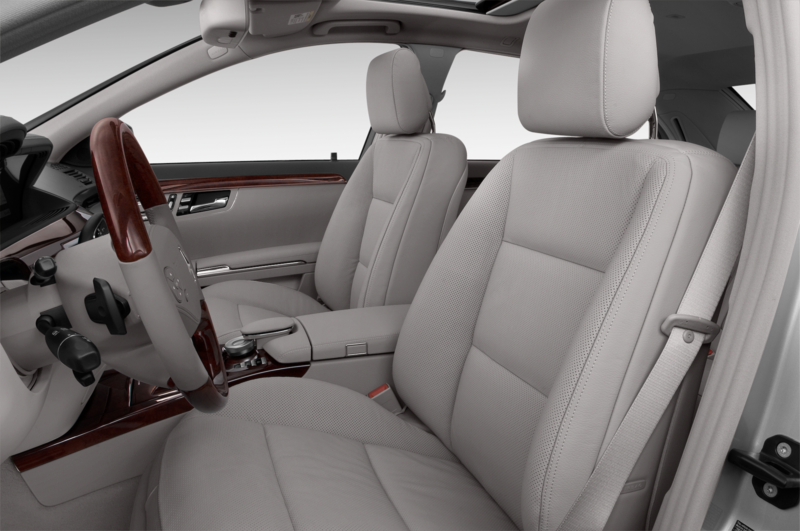 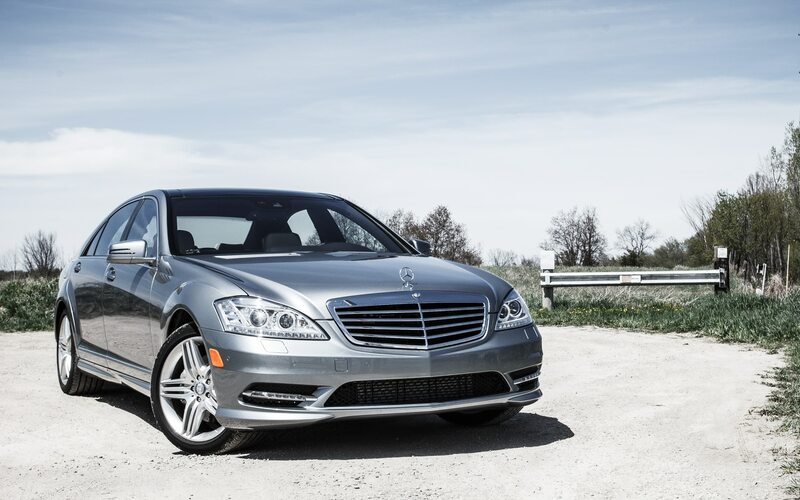 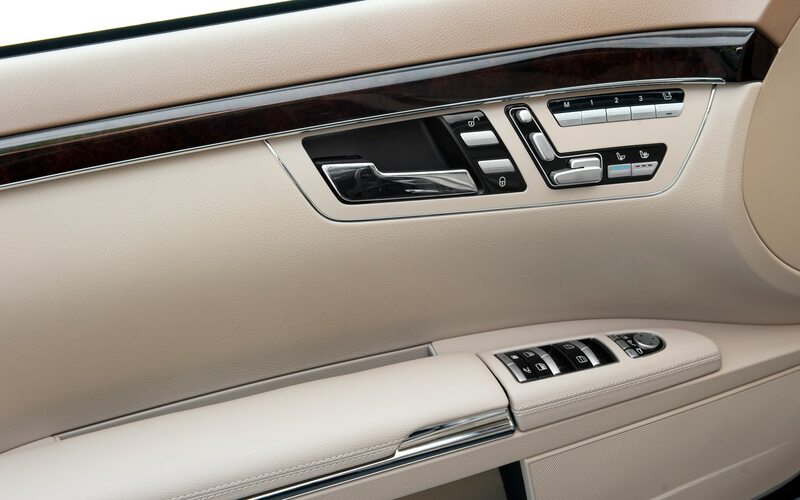 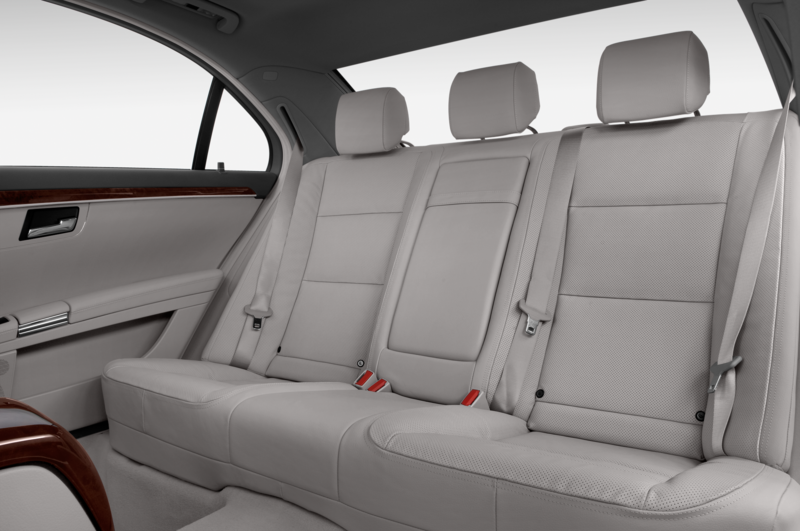 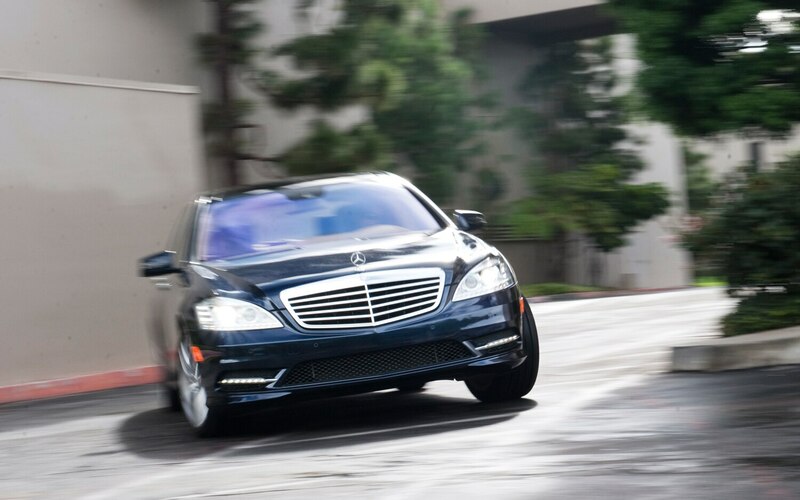 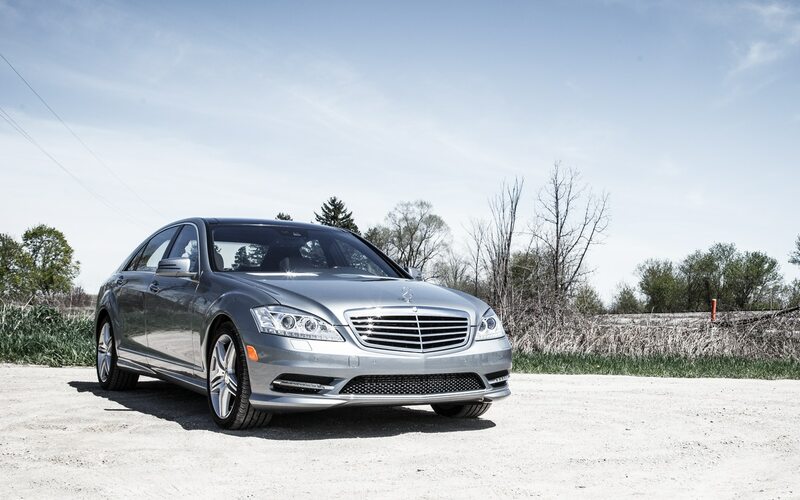 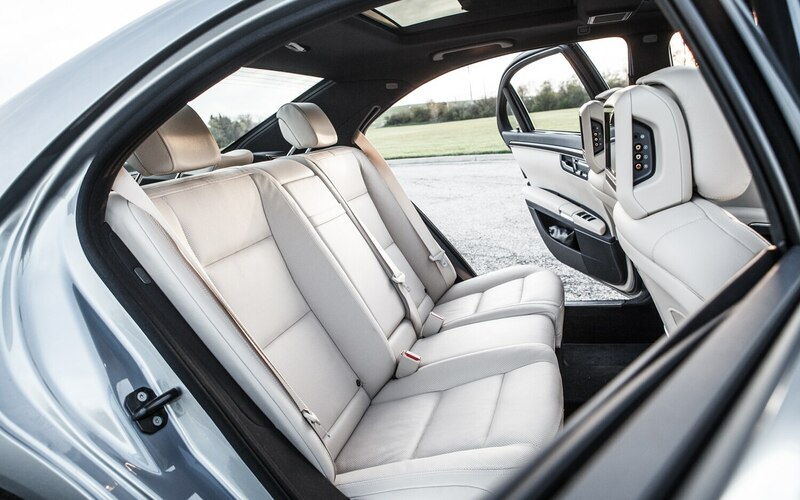 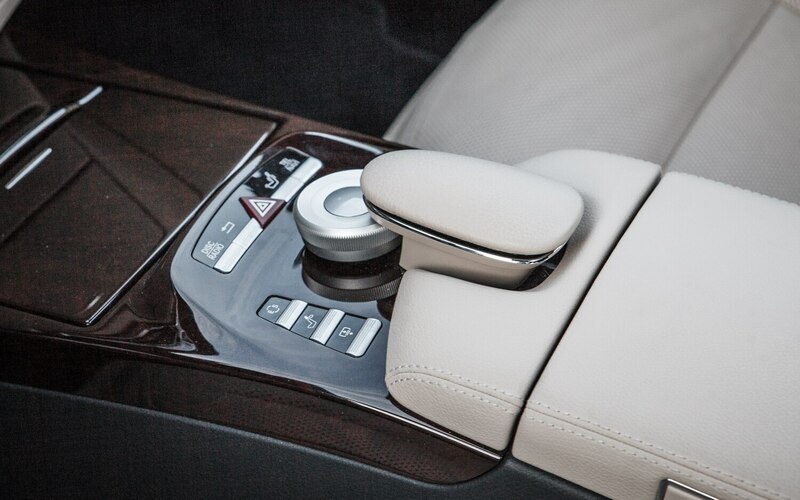 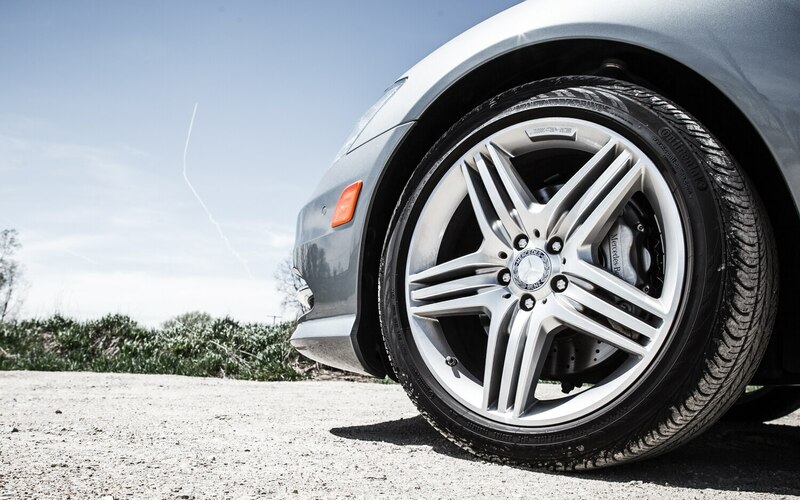 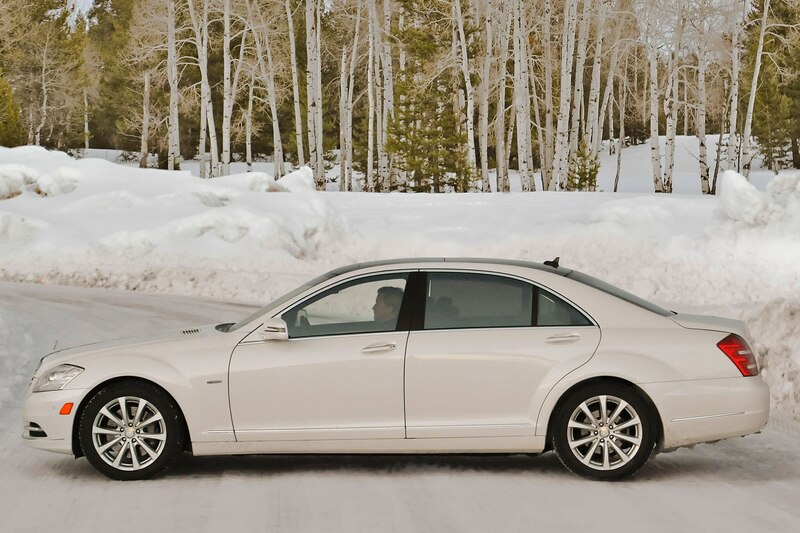 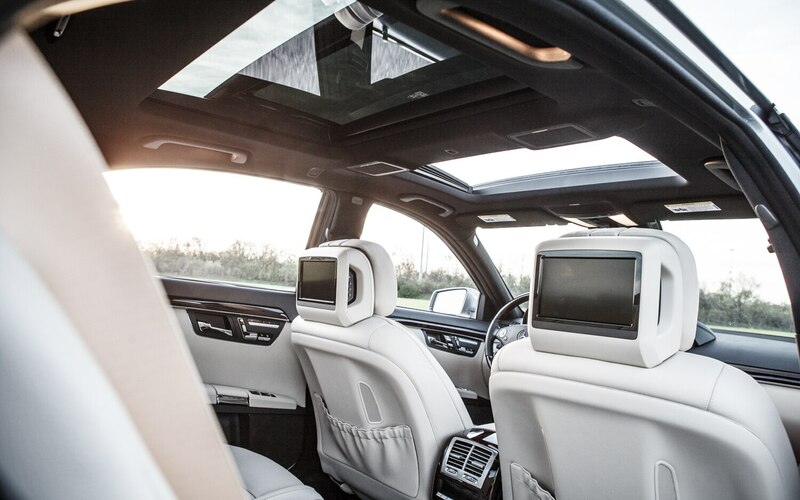 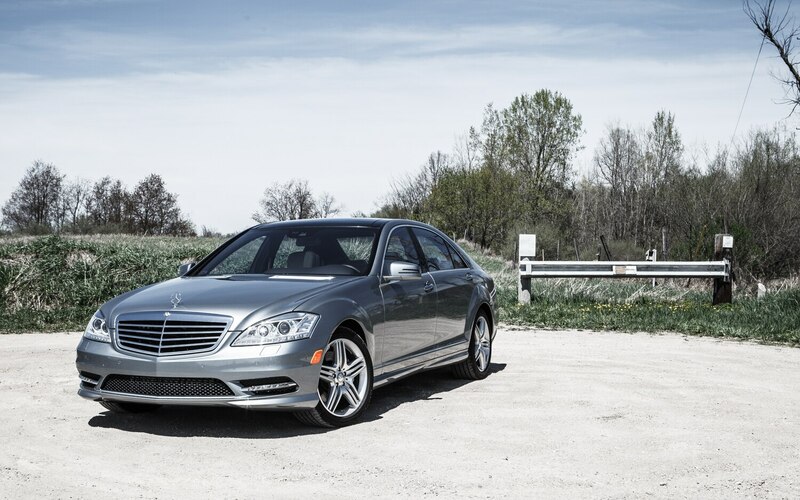 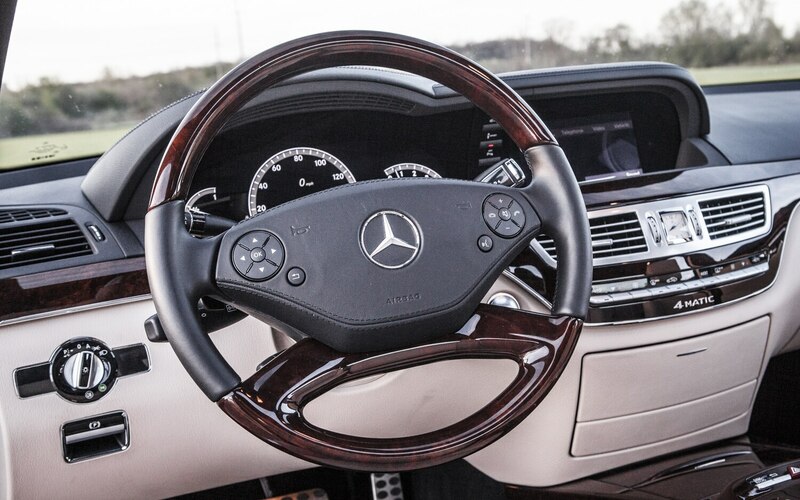 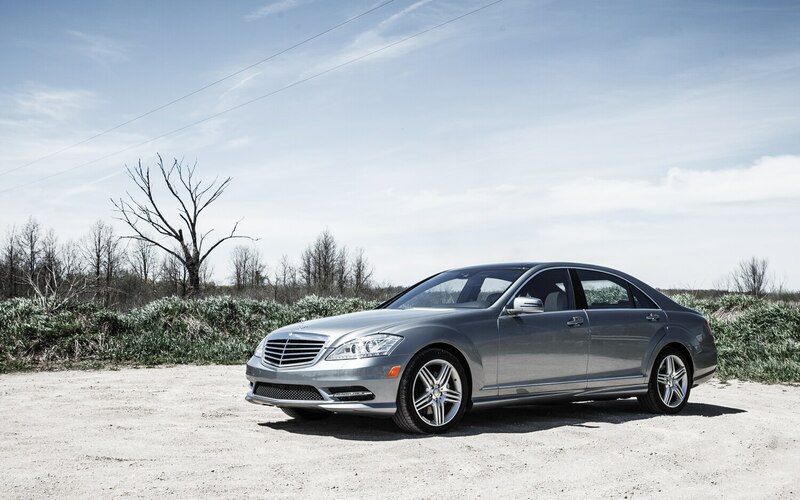 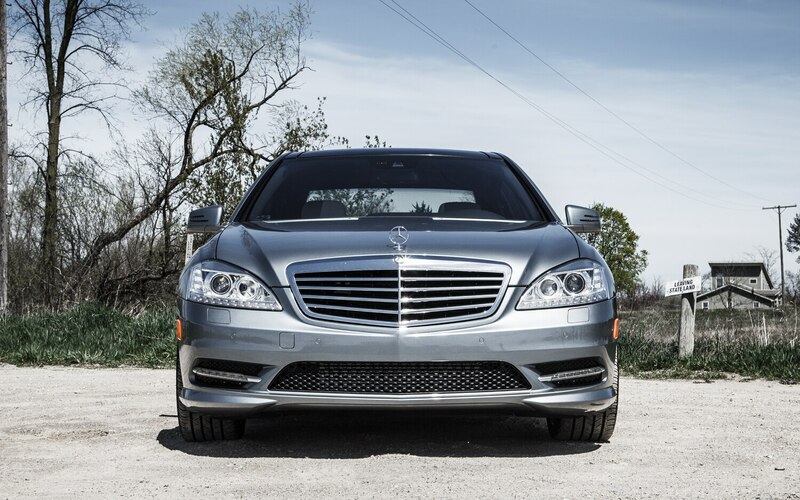 Driving a Mercedes S-Class feels a lot like flying in first class. 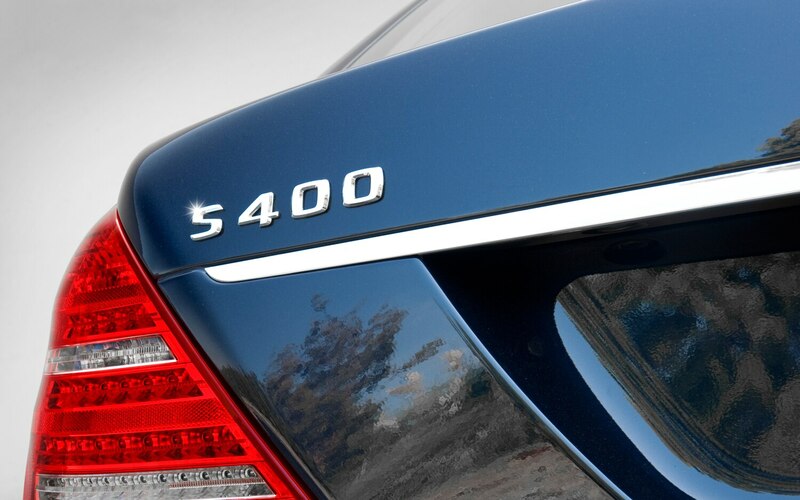 The Mercedes-Benz 450 SEL 6.9 is considered by some to be one of the greatest sedans of all time, along with its predecessor, the equally-epic 300 SEL 6.3. 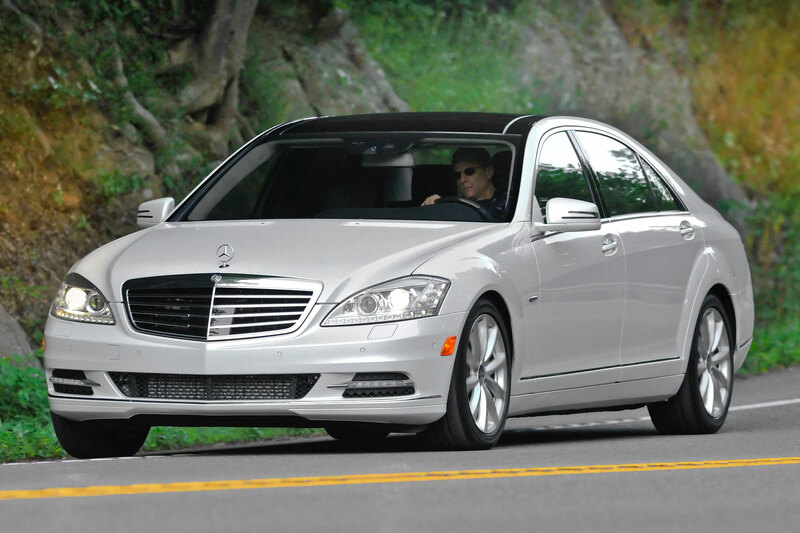 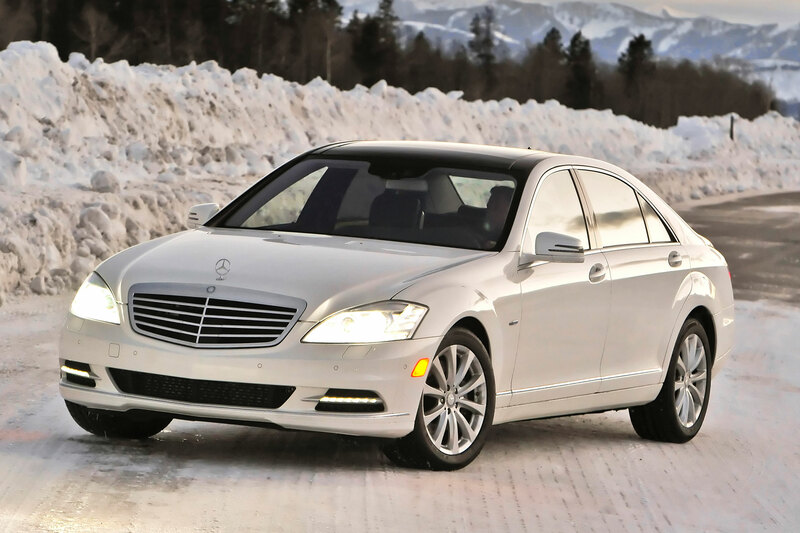 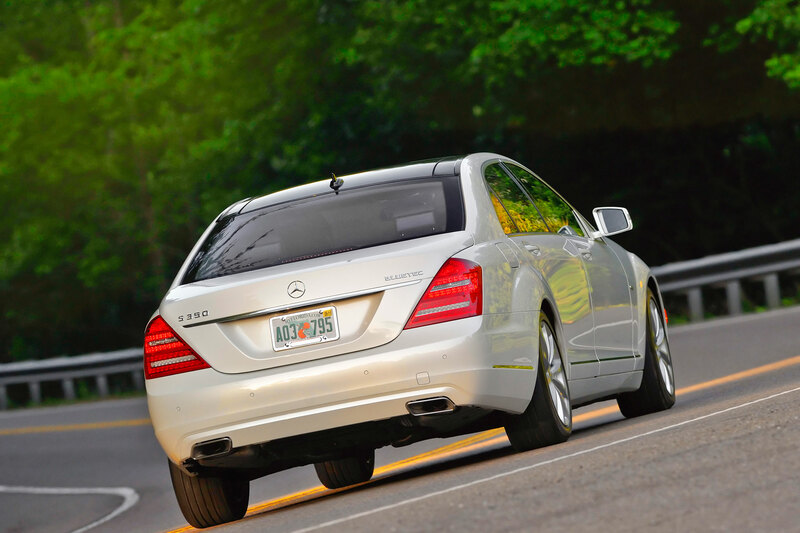 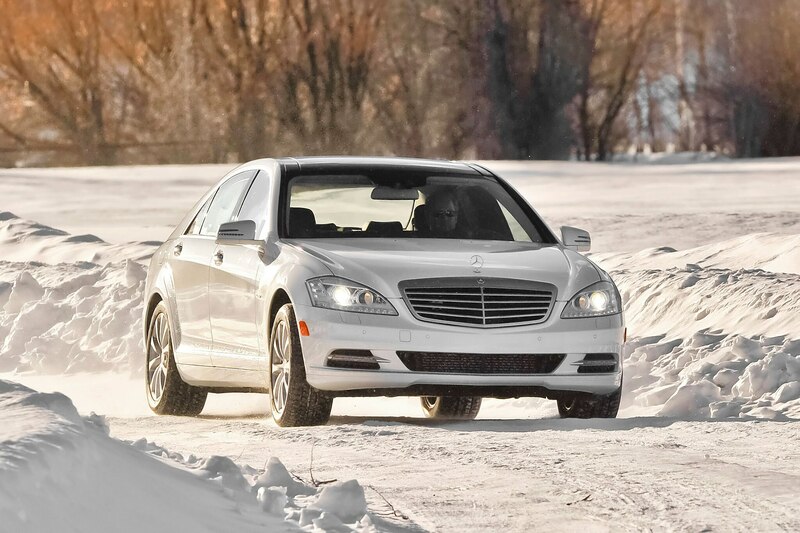 While everyone’s attention this week may be on the 2014 Mercedes-Benz S-Class, a variant of that sedan has been caught testing.